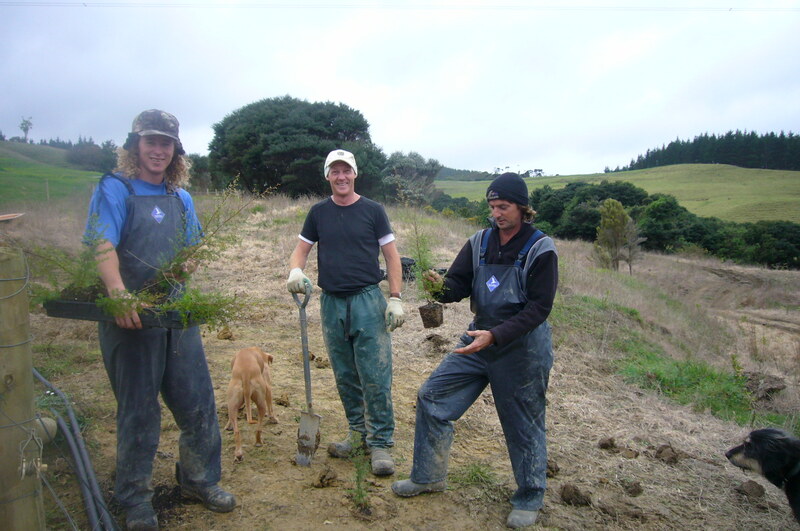 Our plan is to create a sustainable forest eco system. 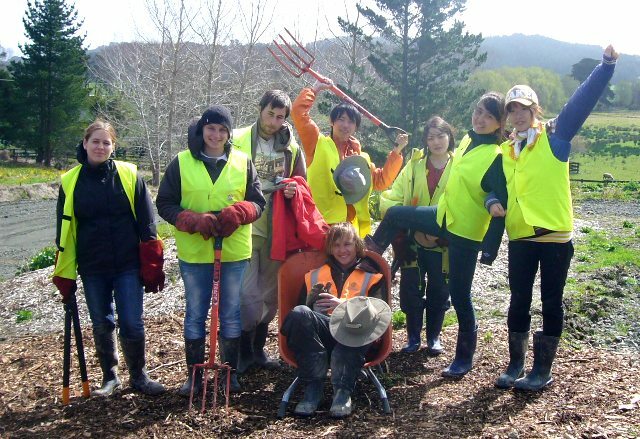 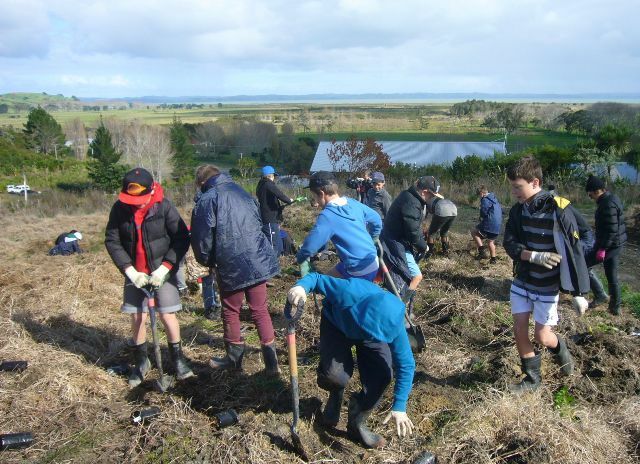 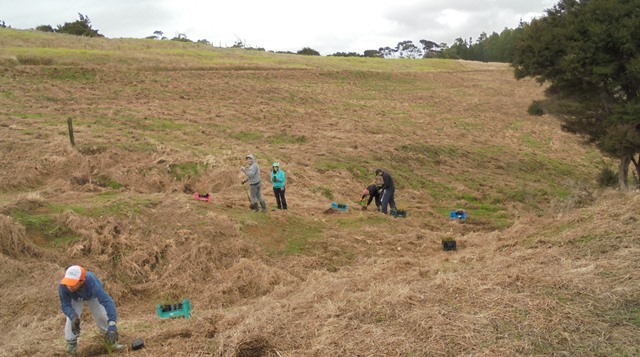 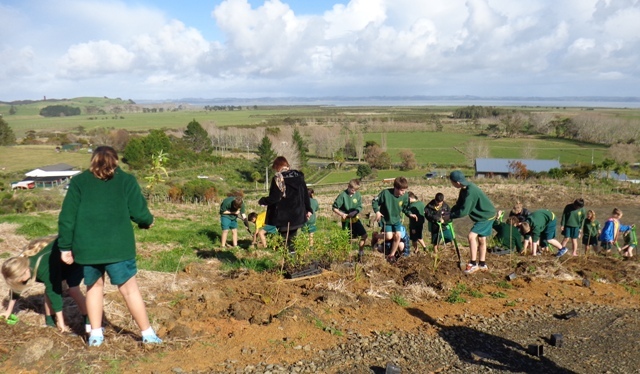 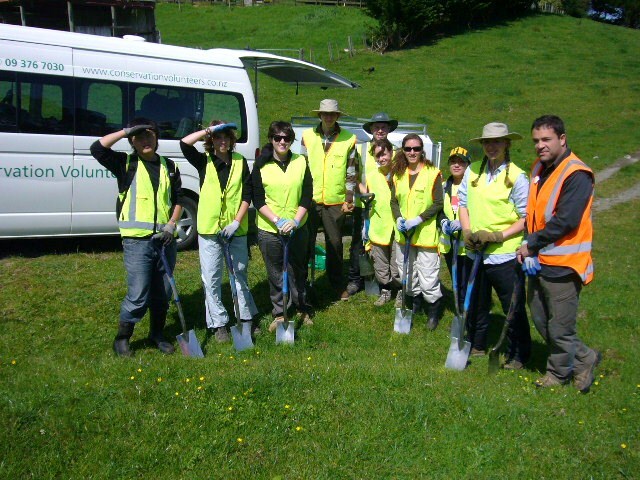 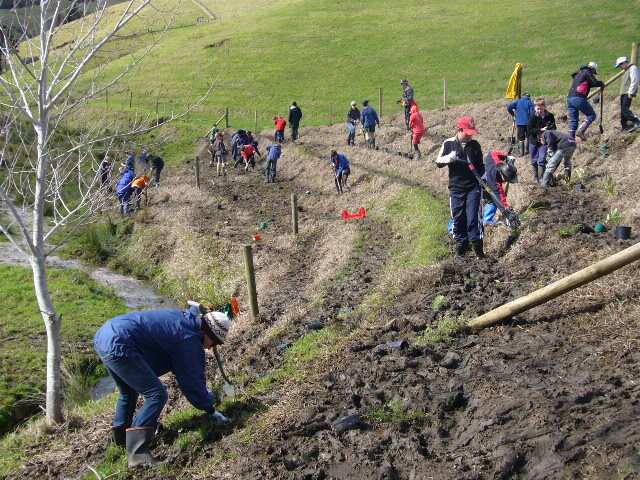 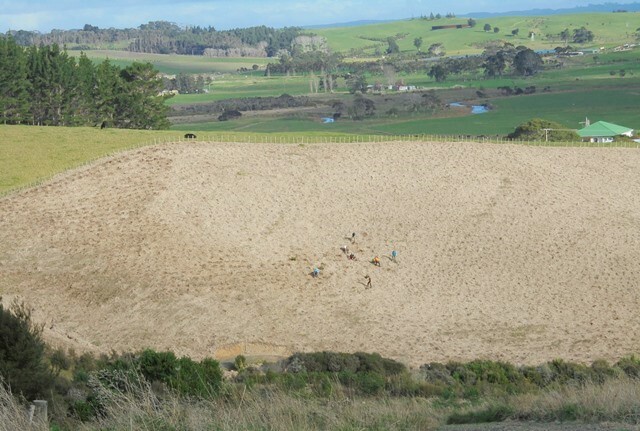 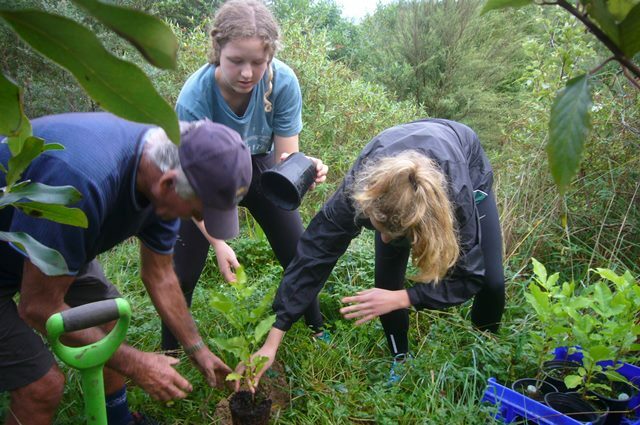 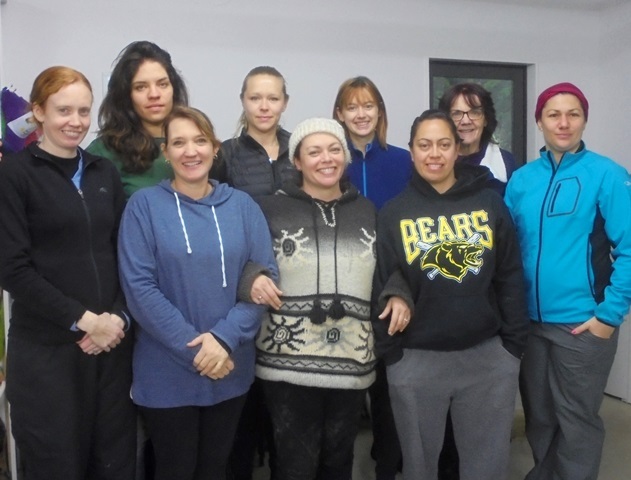 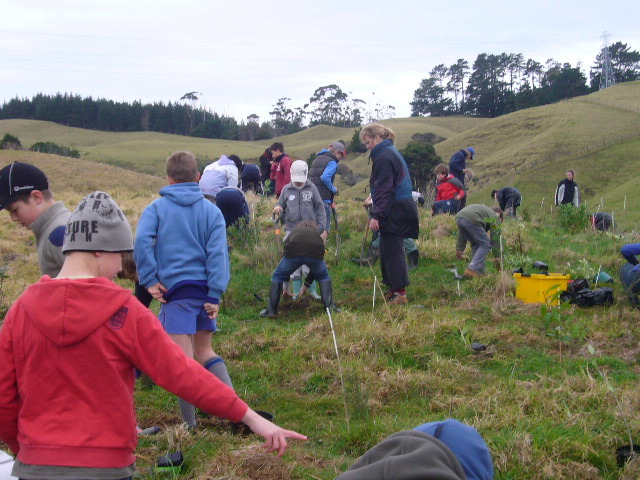 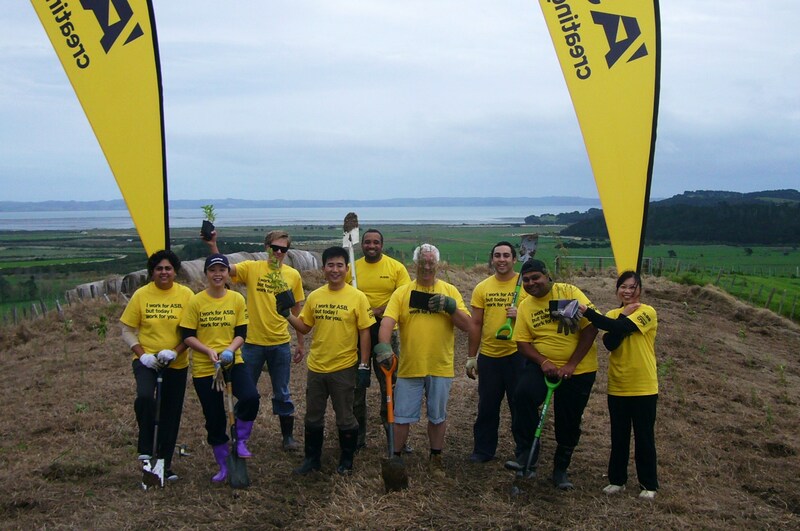 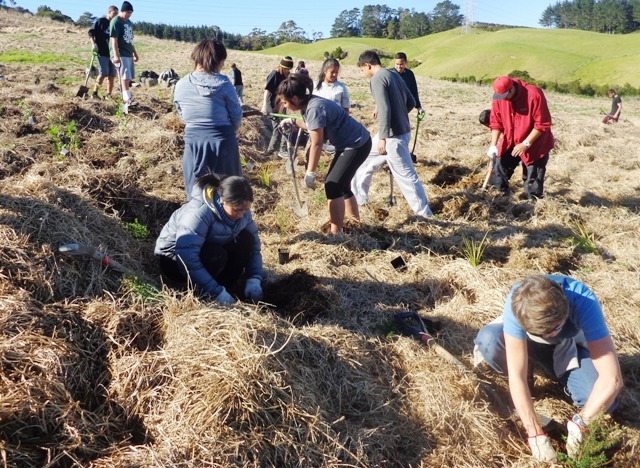 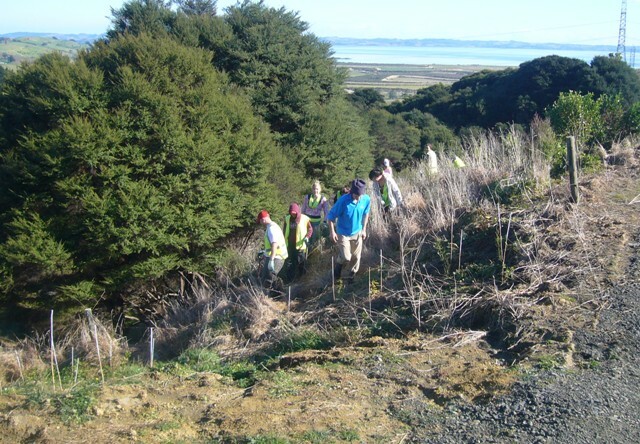 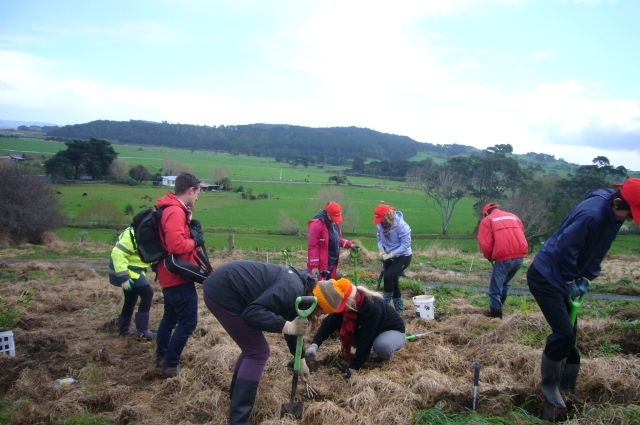 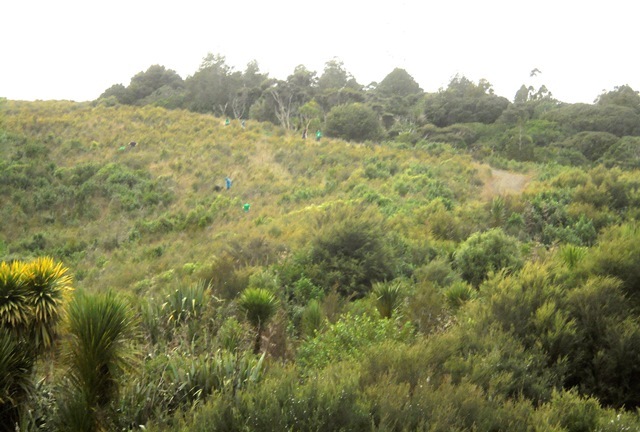 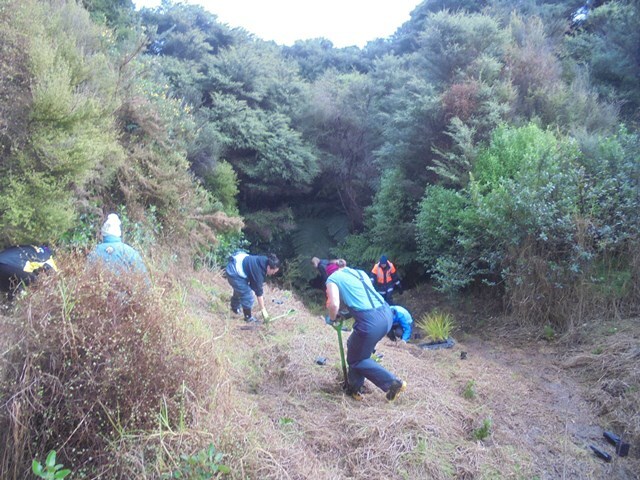 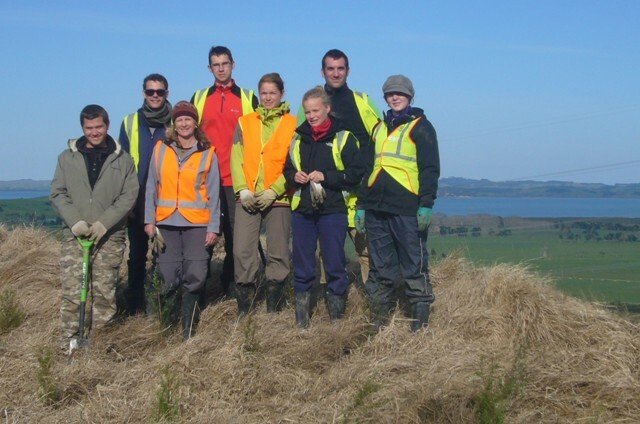 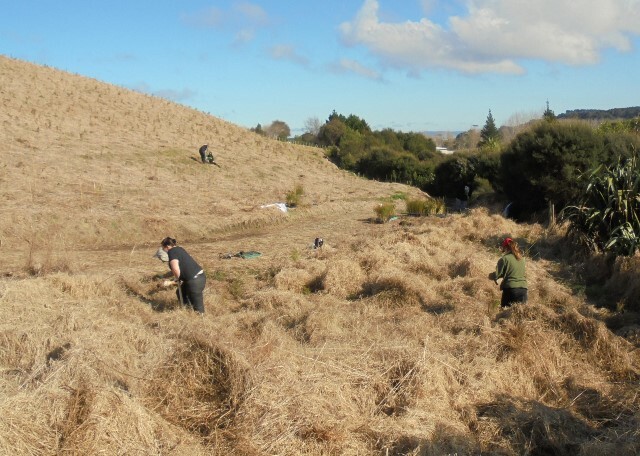 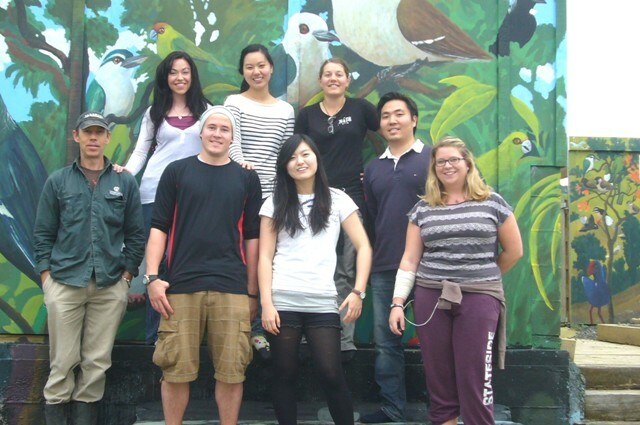 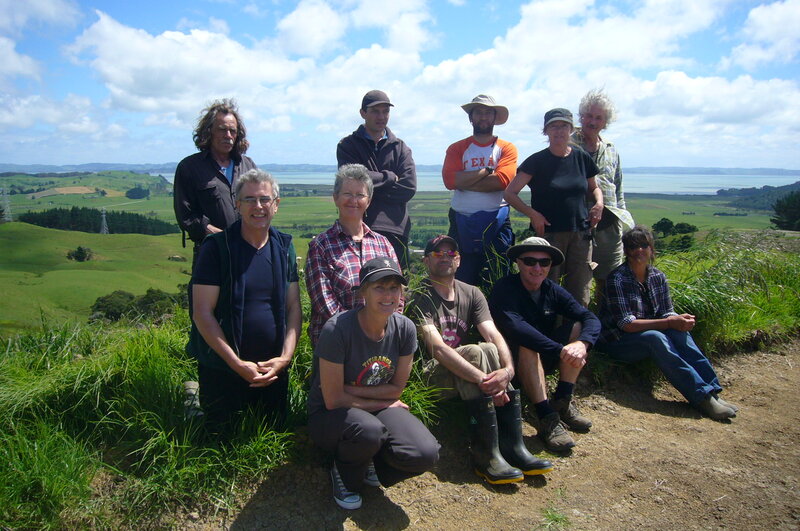 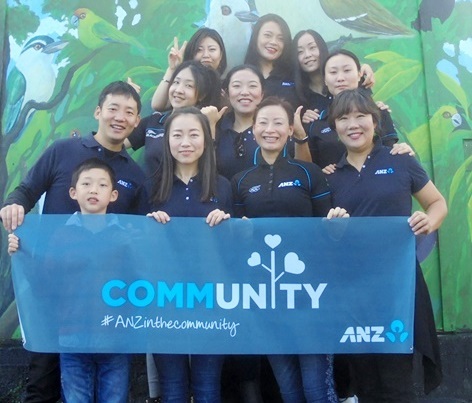 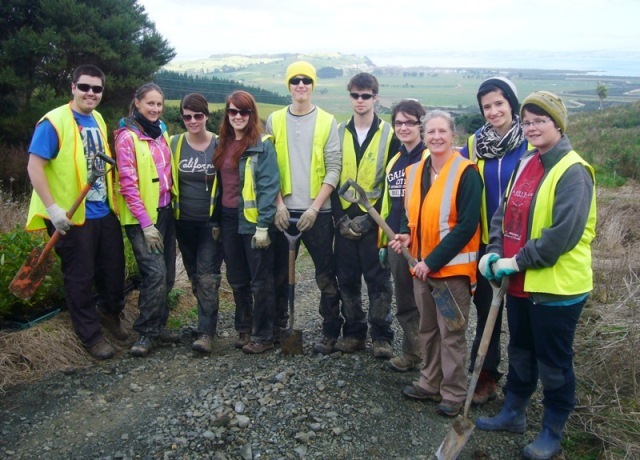 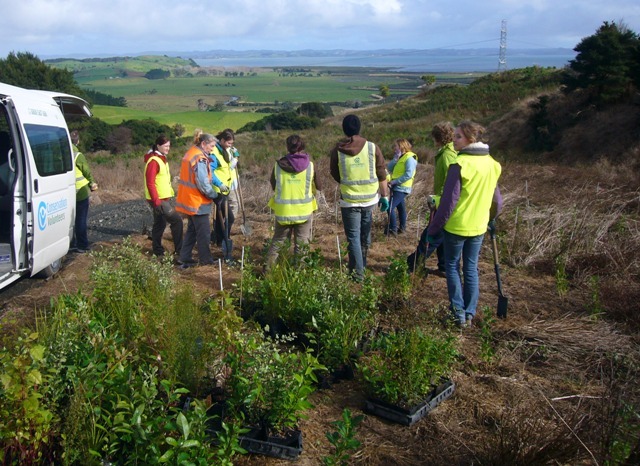 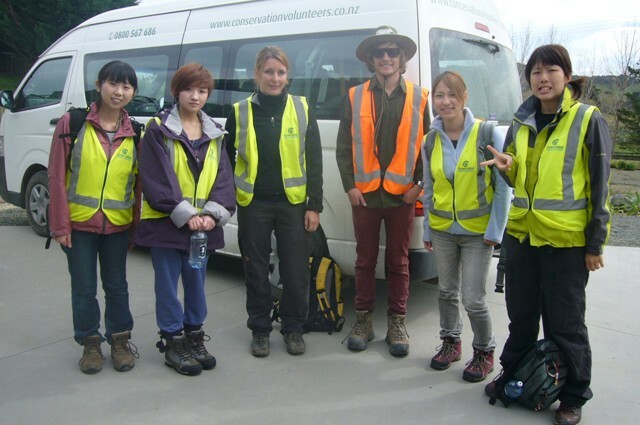 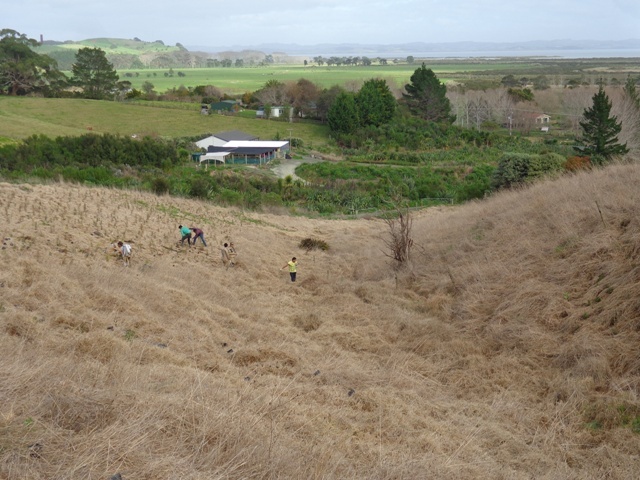 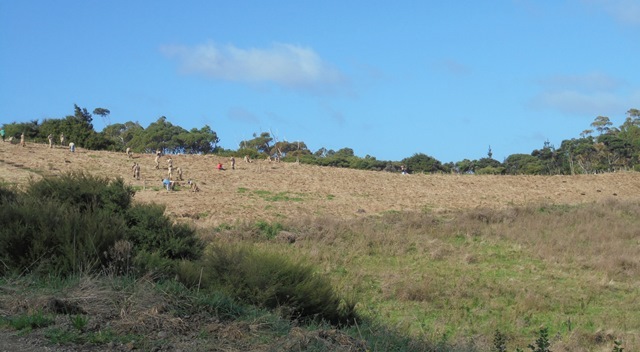 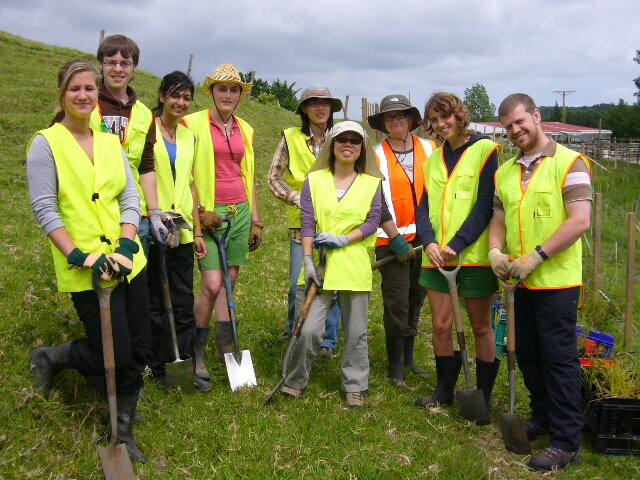 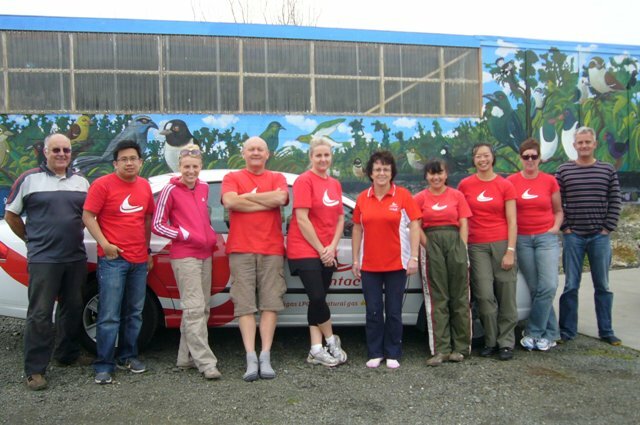 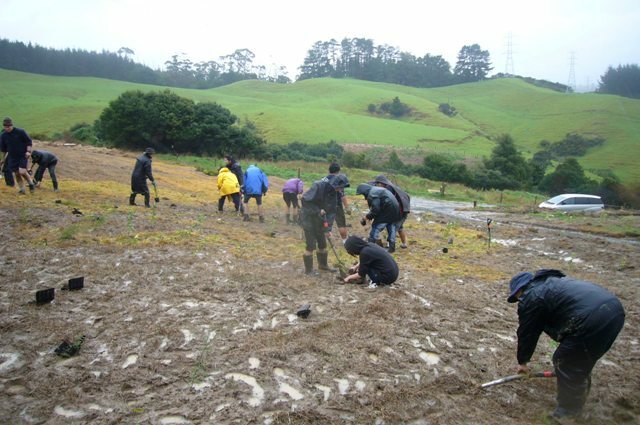 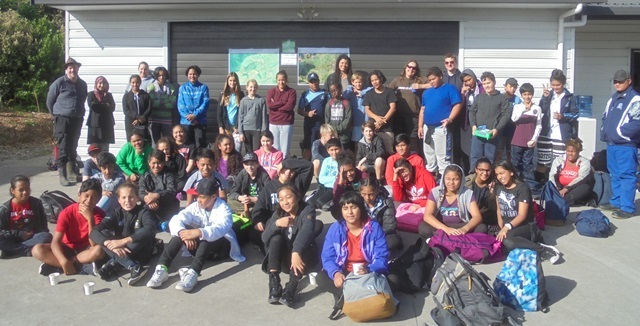 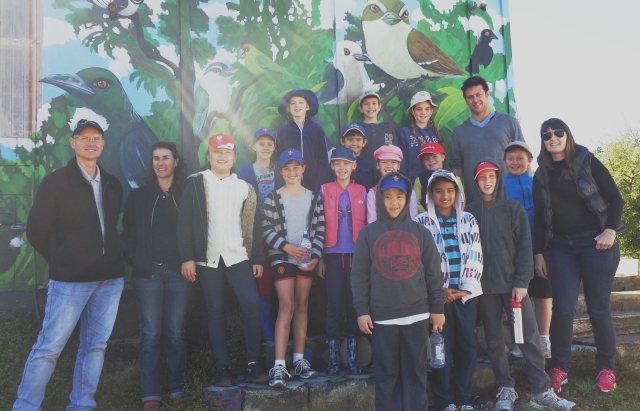 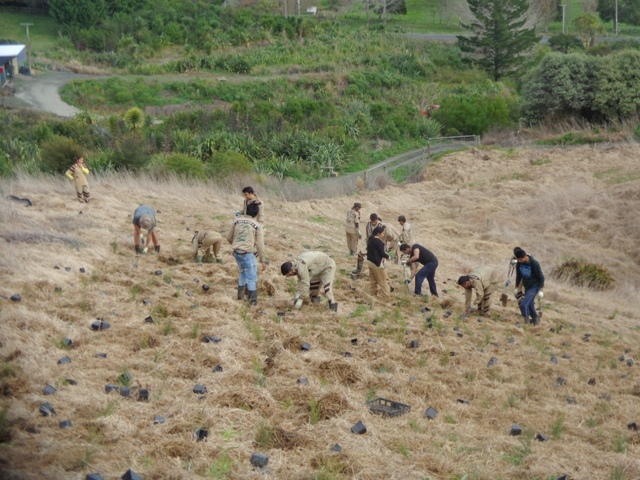 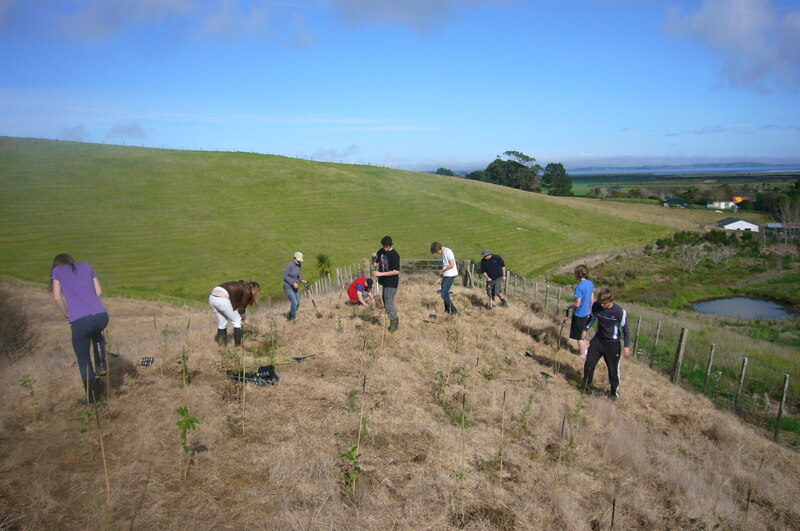 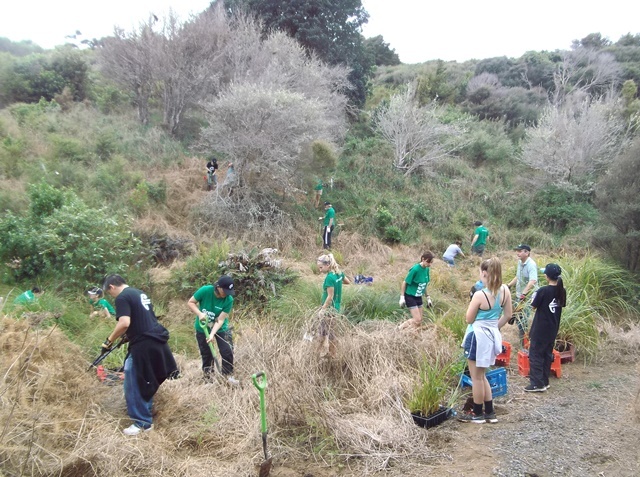 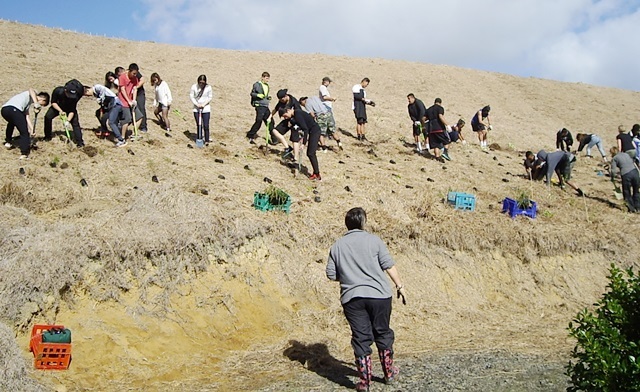 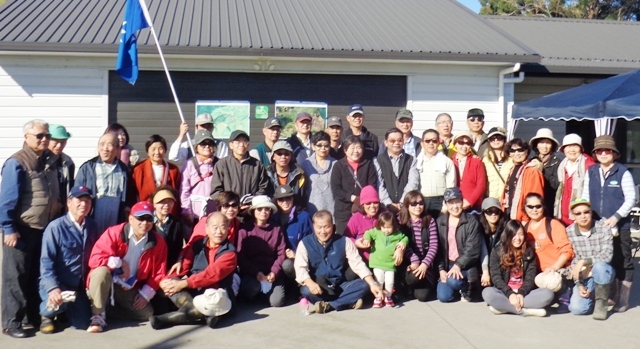 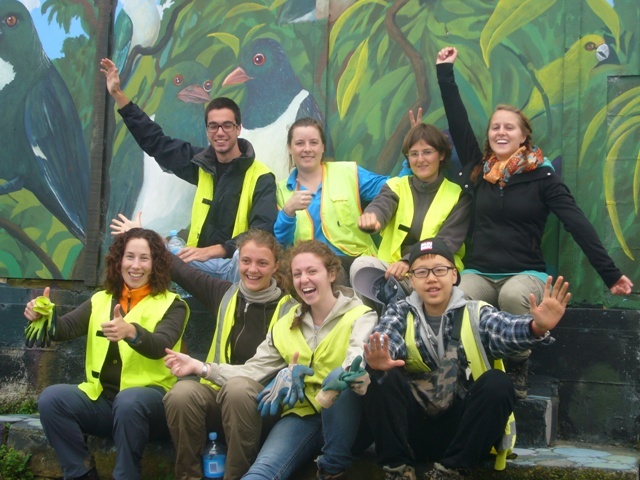 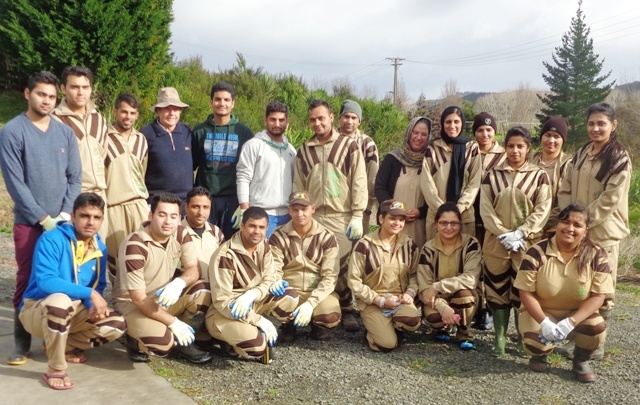 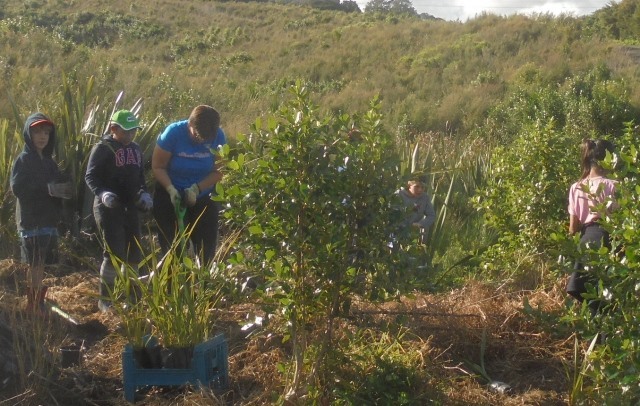 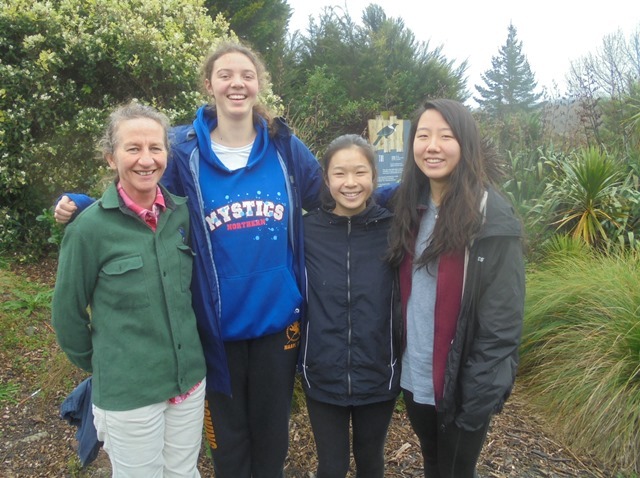 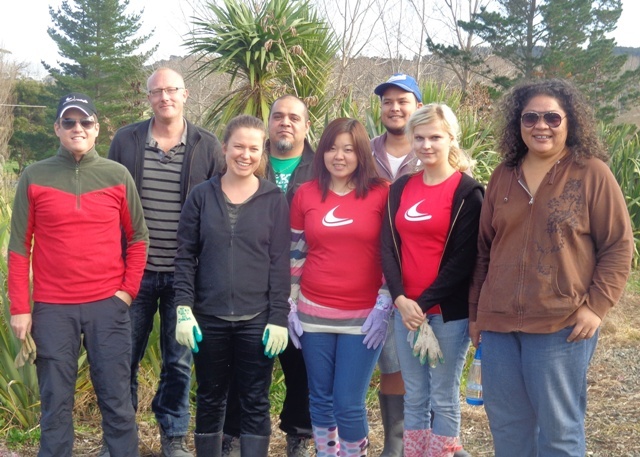 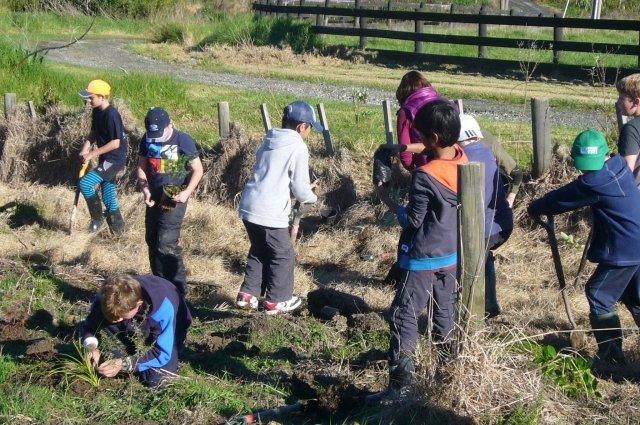 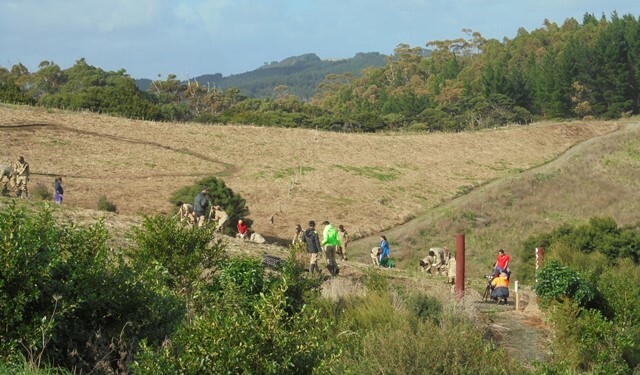 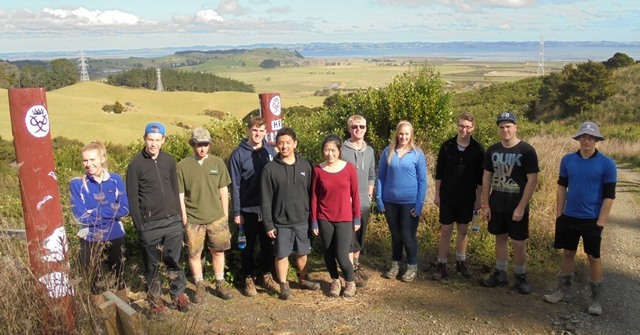 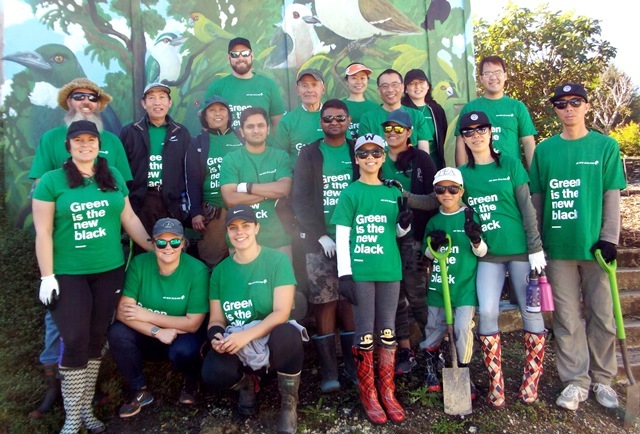 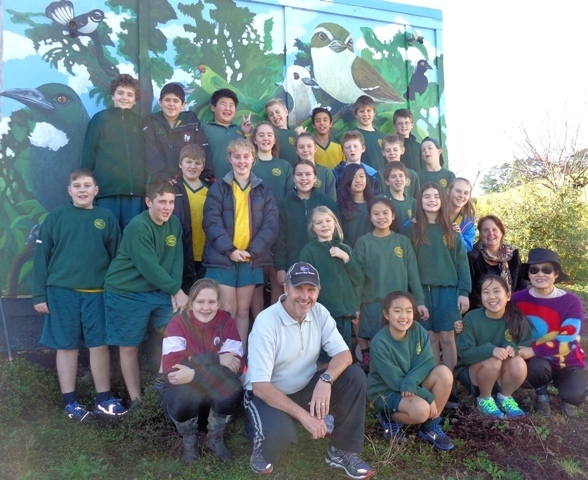 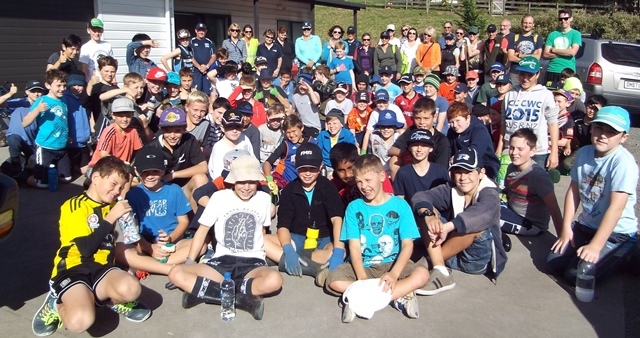 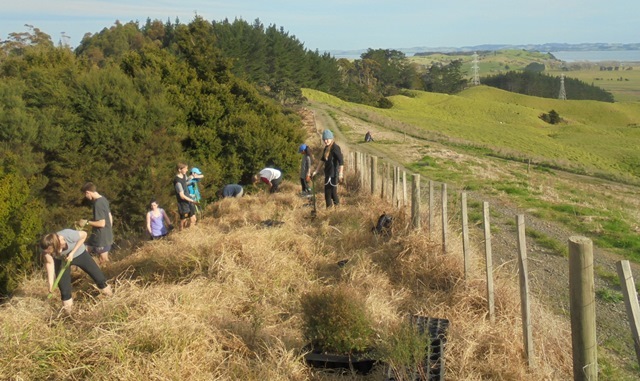 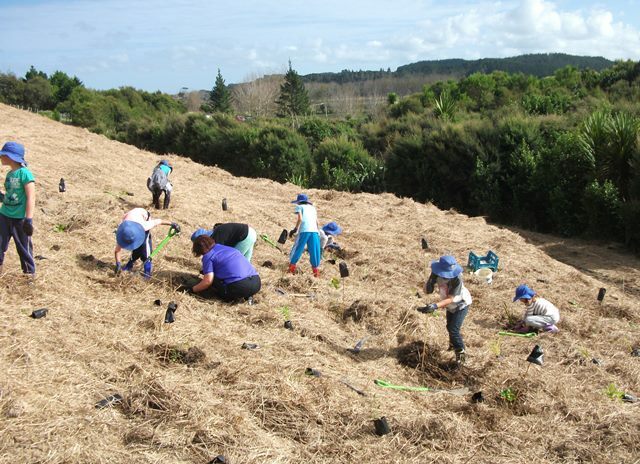 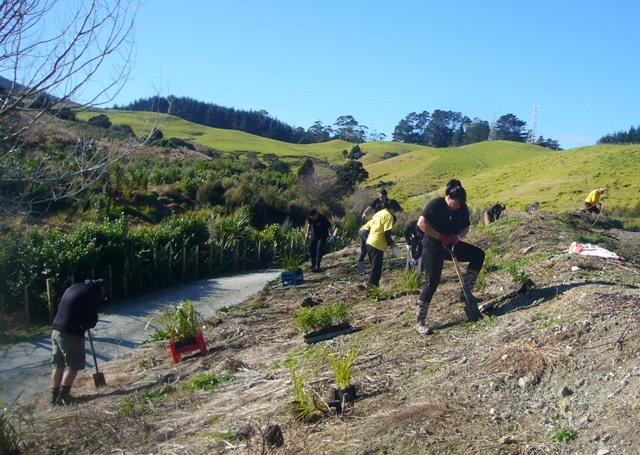 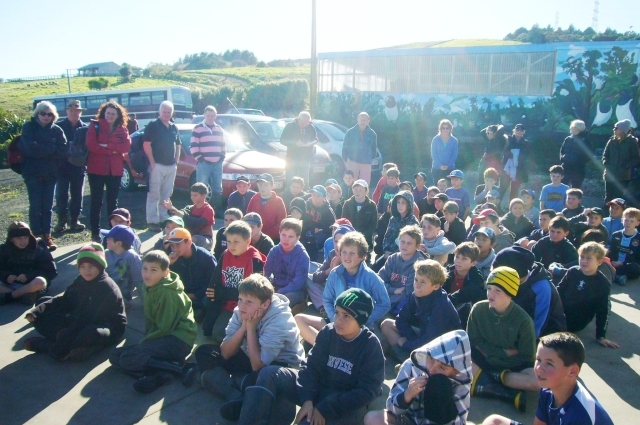 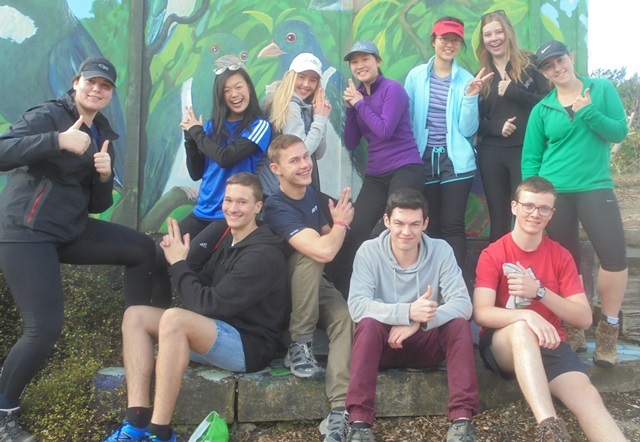 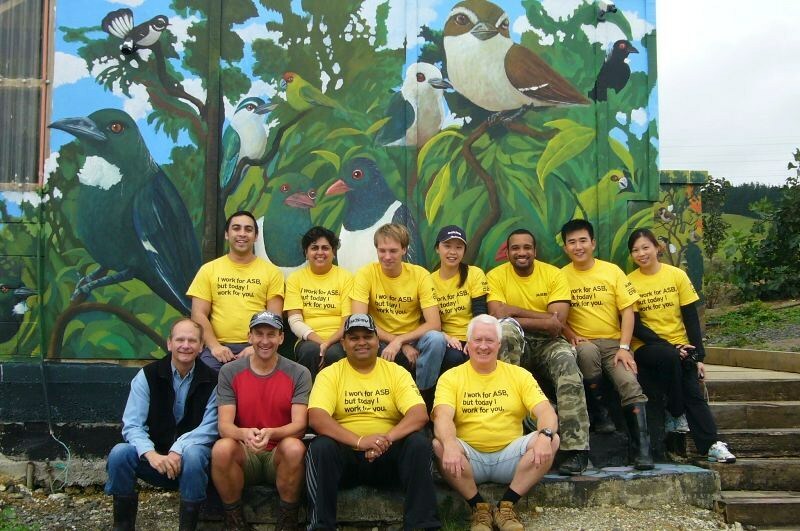 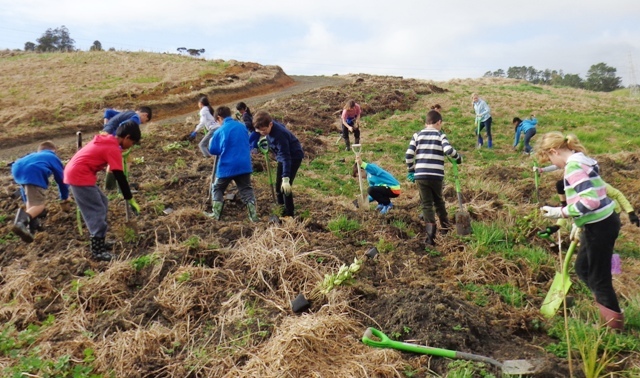 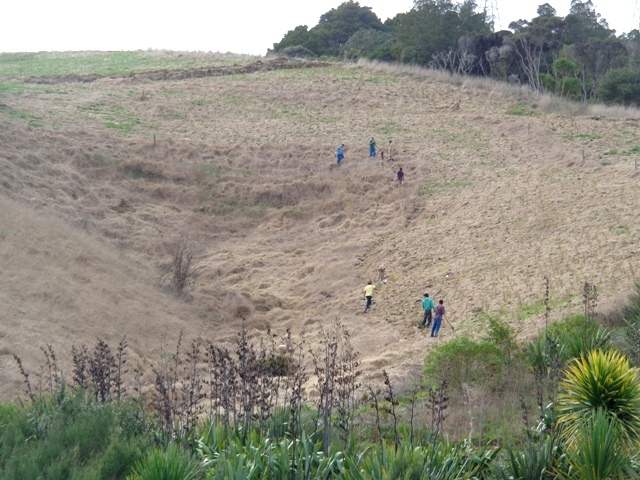 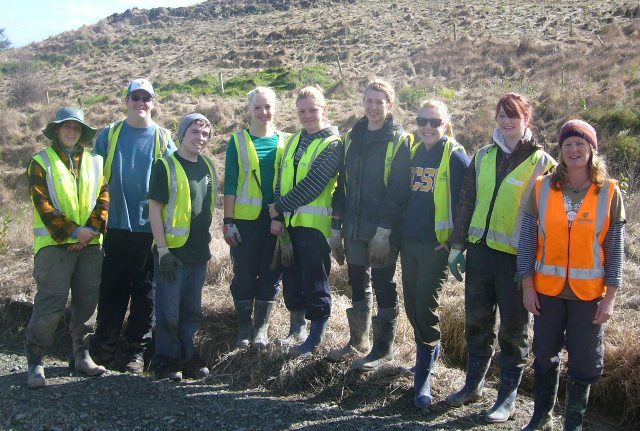 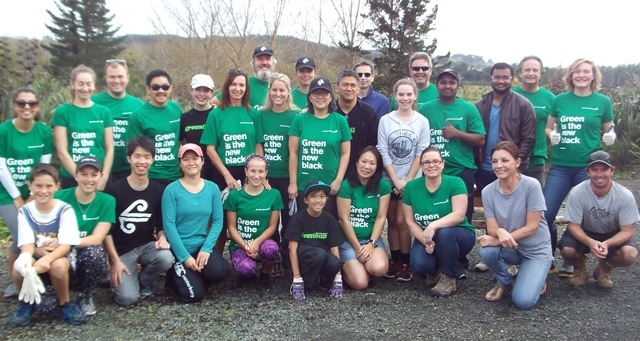 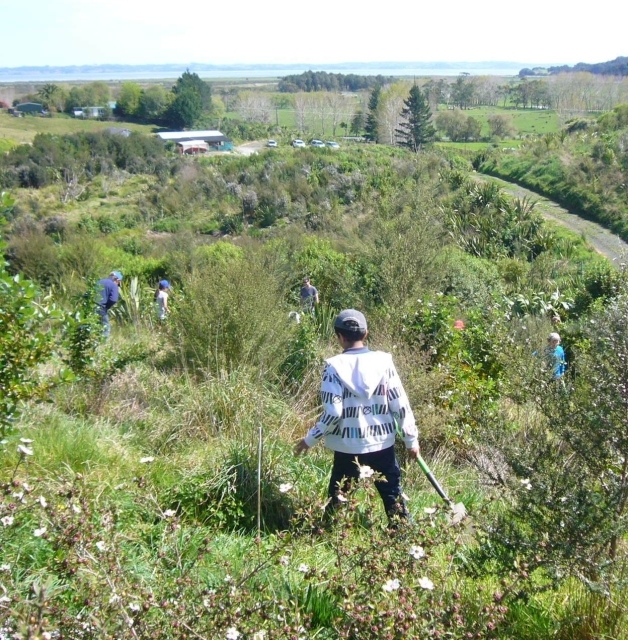 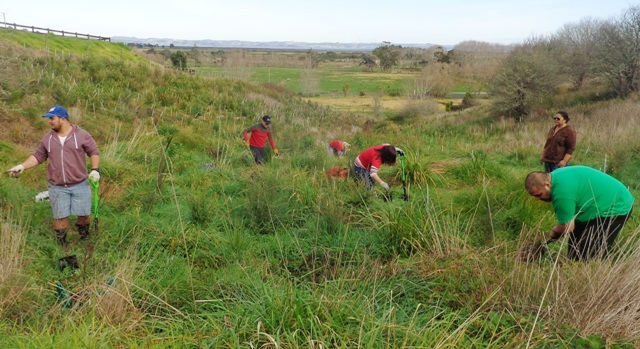 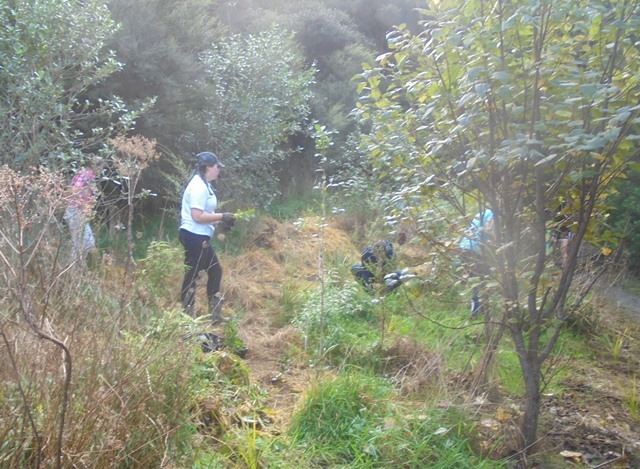 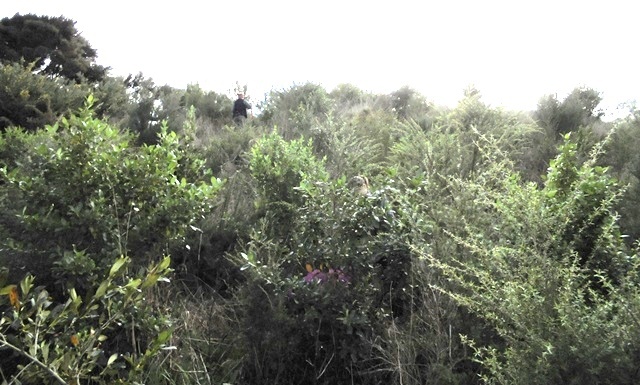 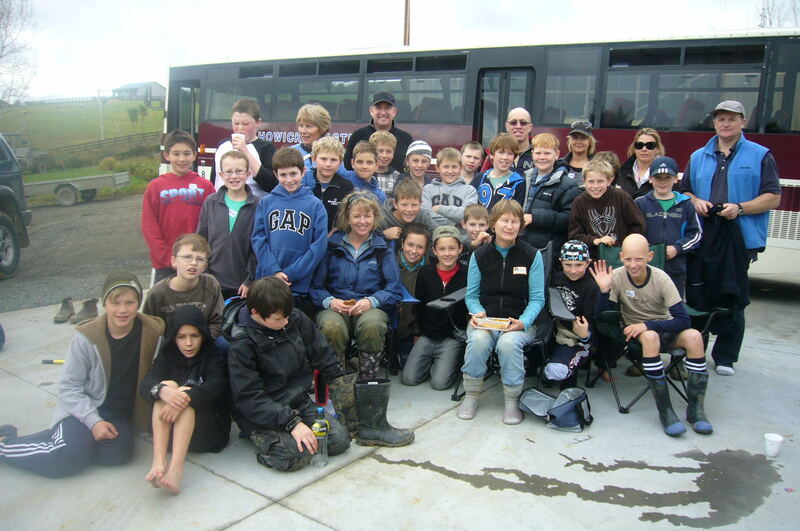 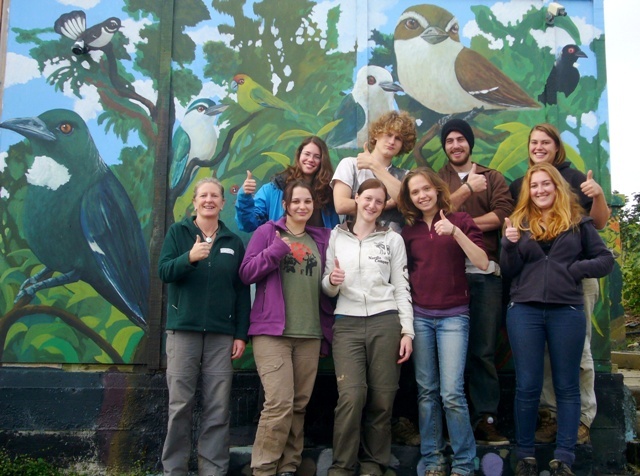 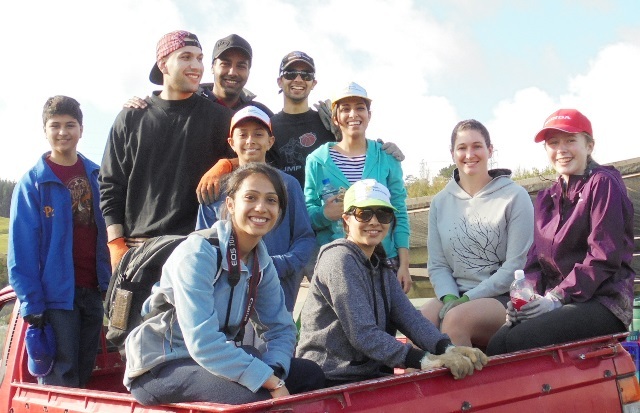 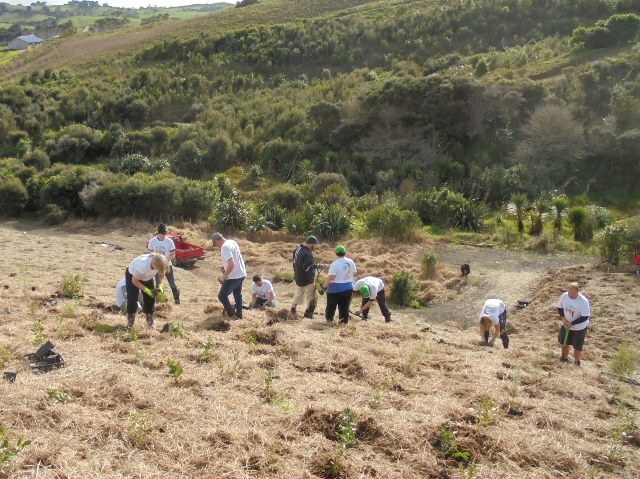 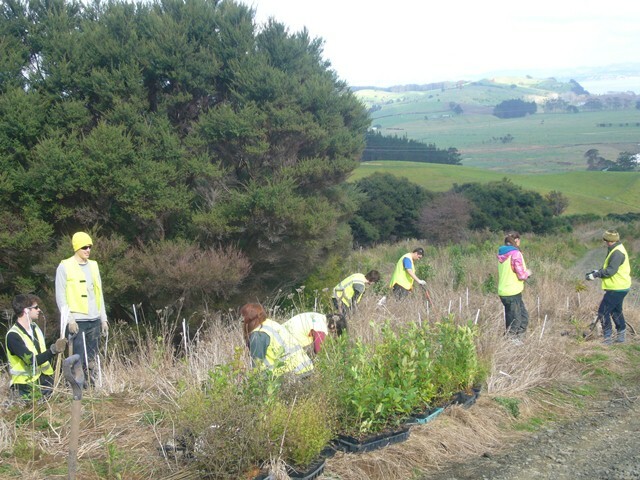 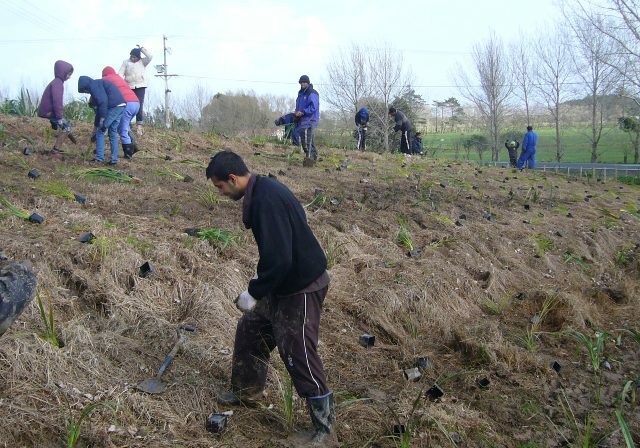 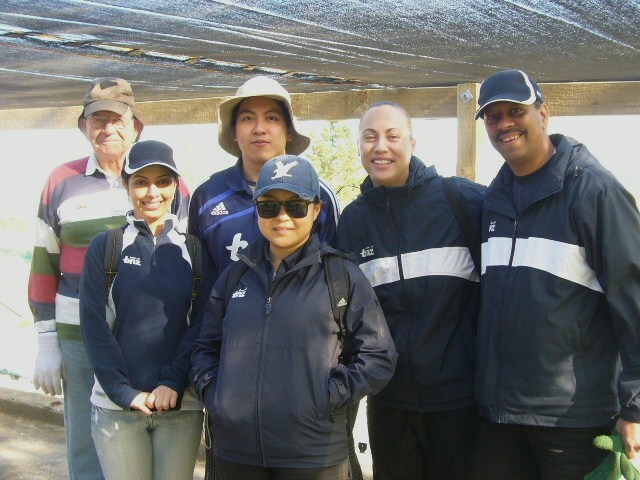 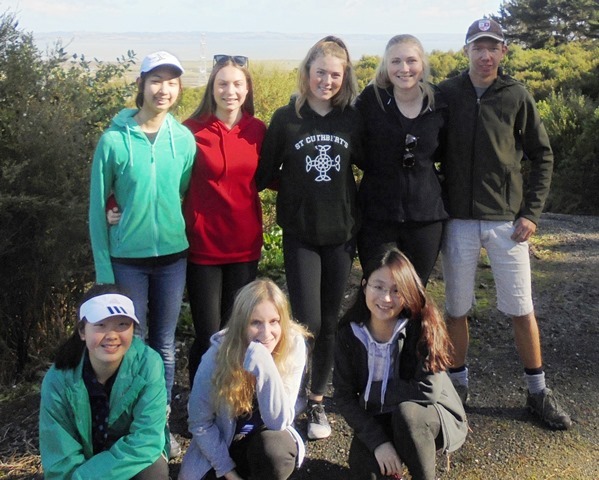 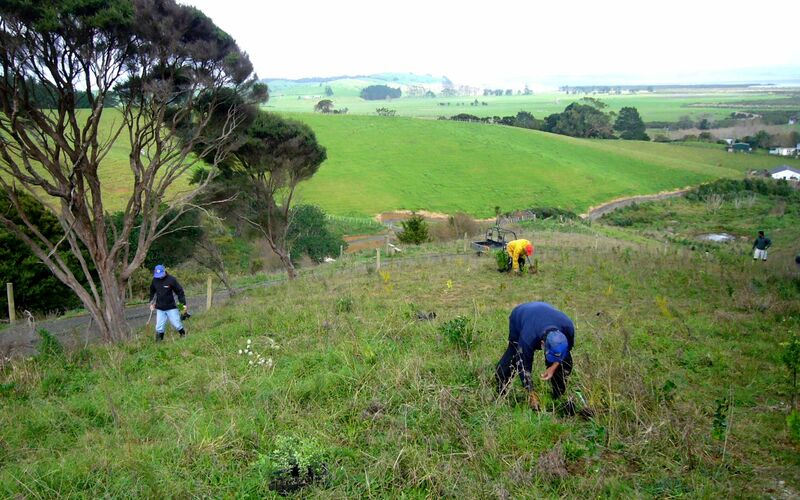 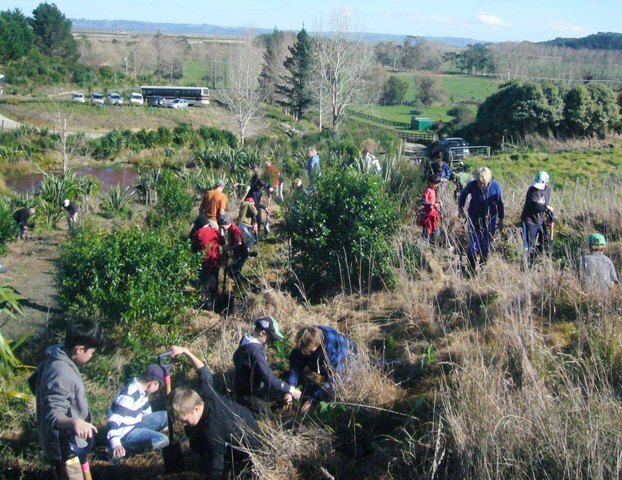 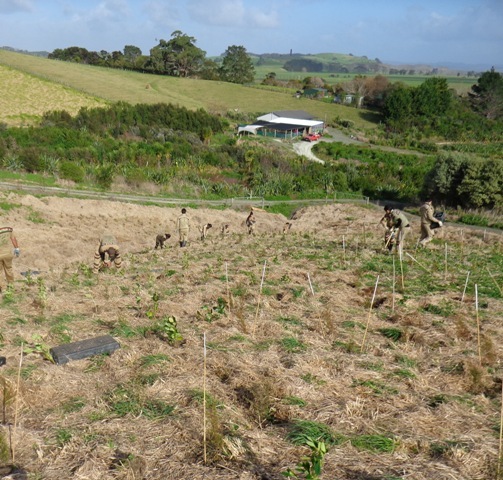 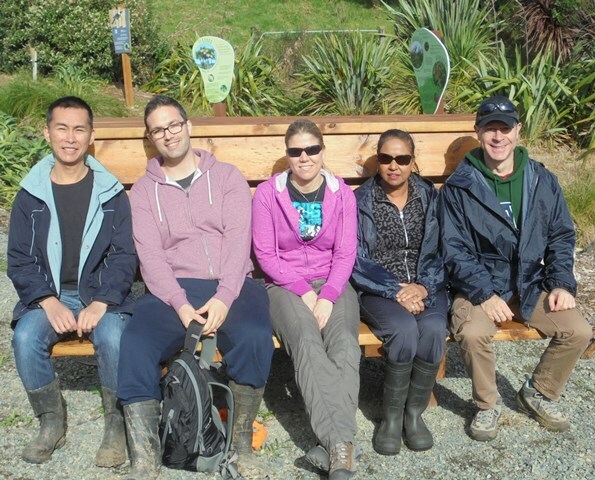 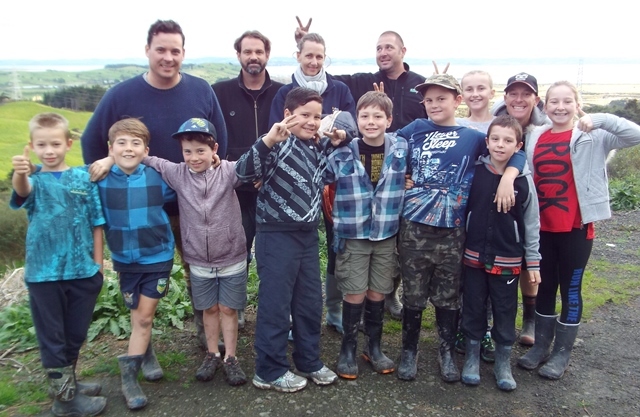 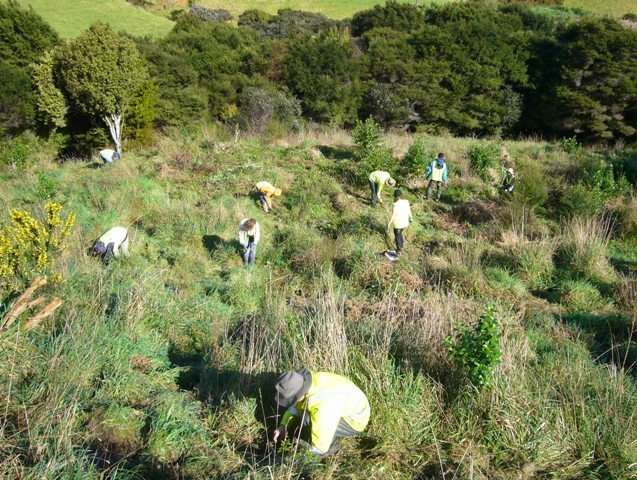 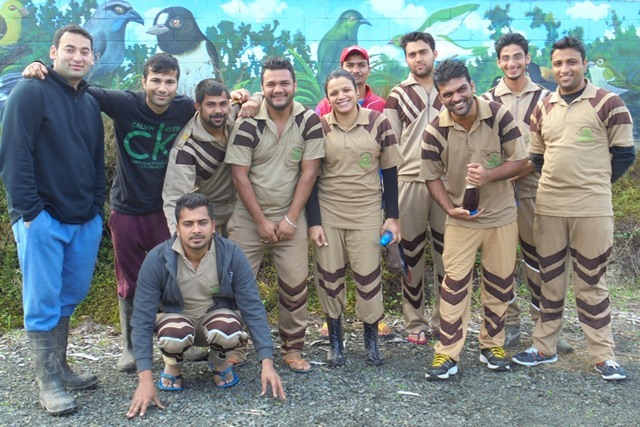 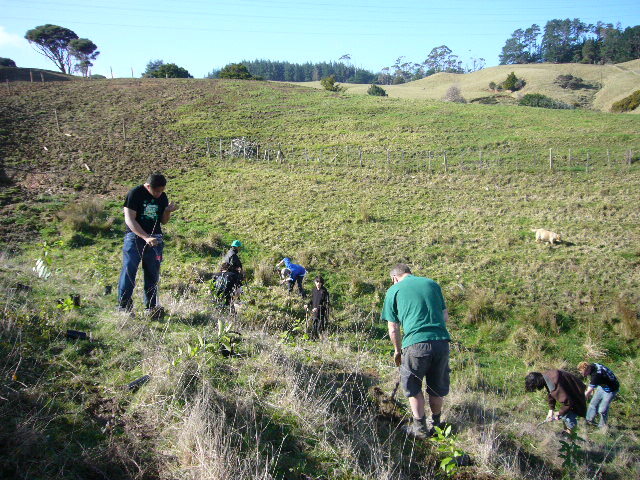 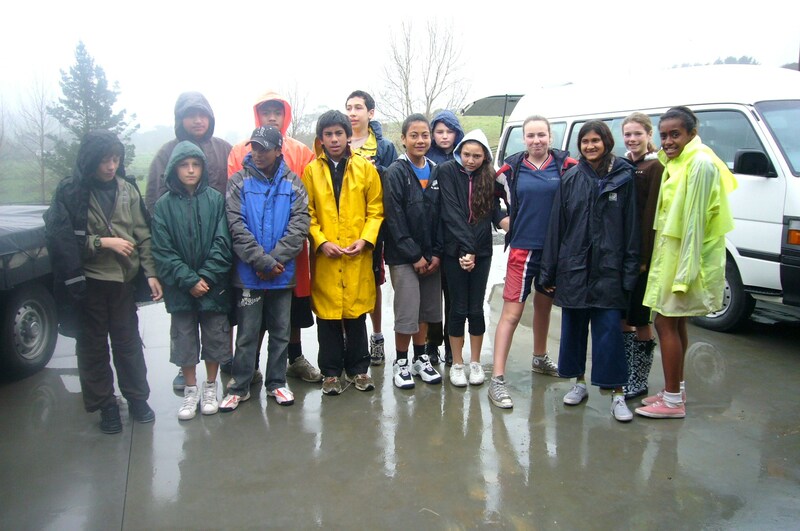 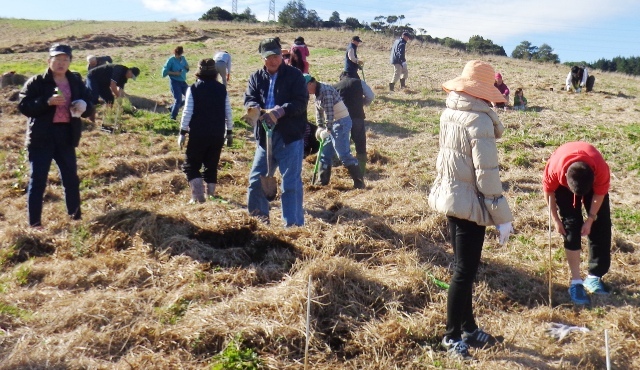 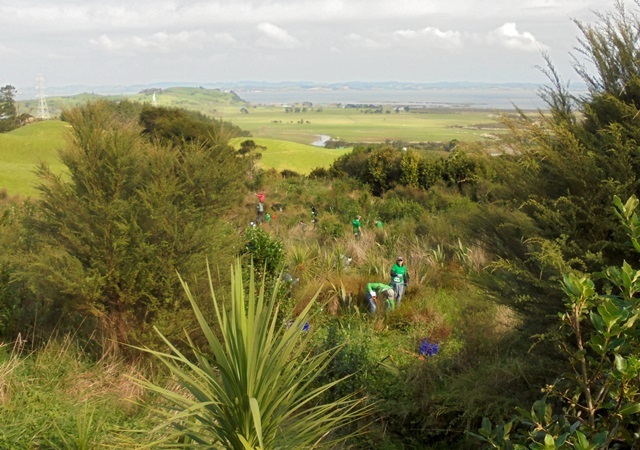 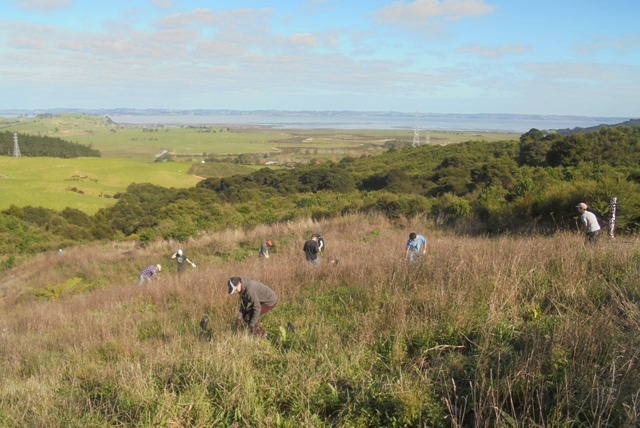 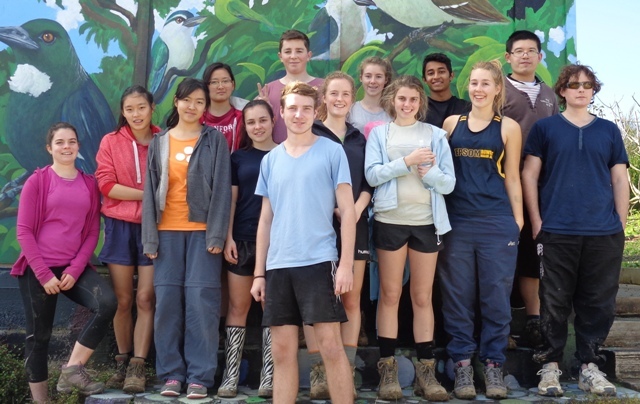 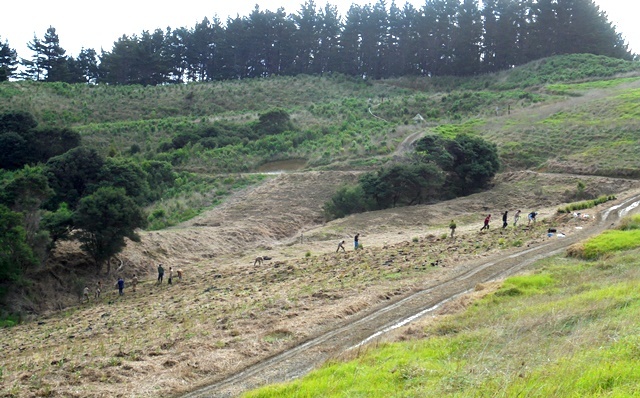 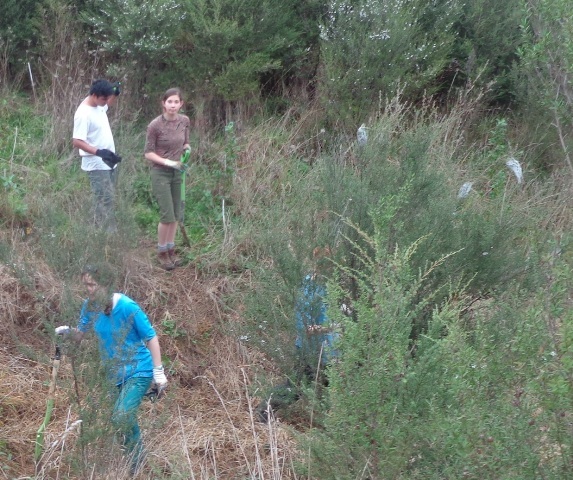 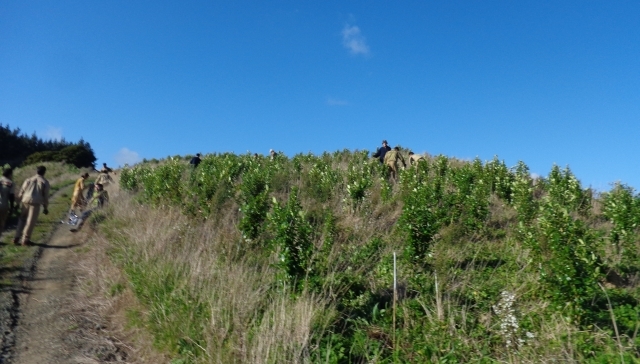 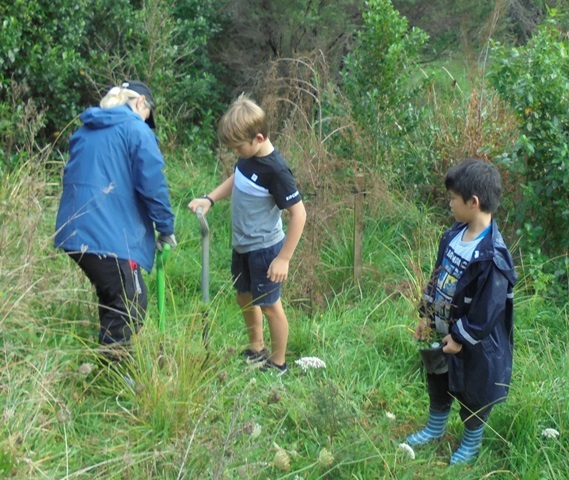 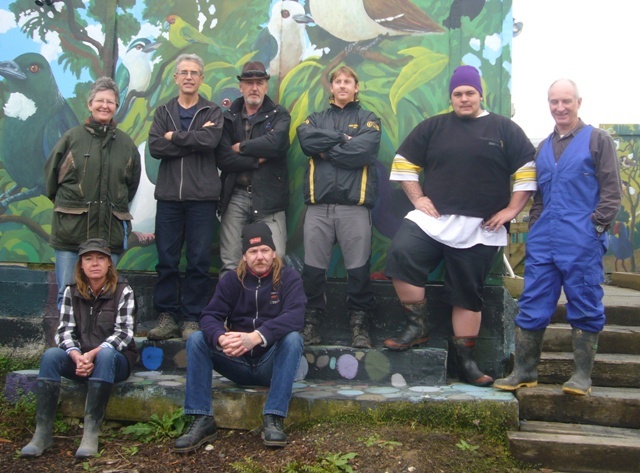 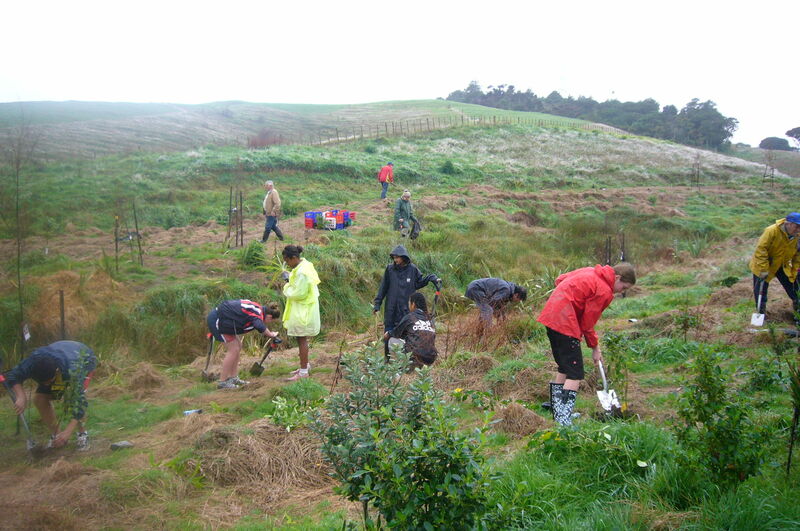 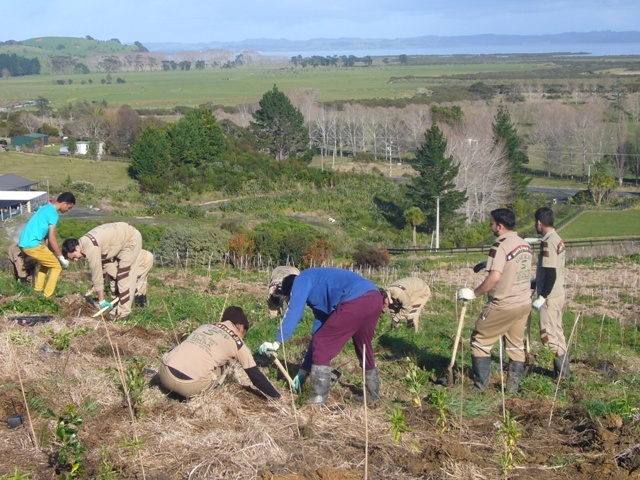 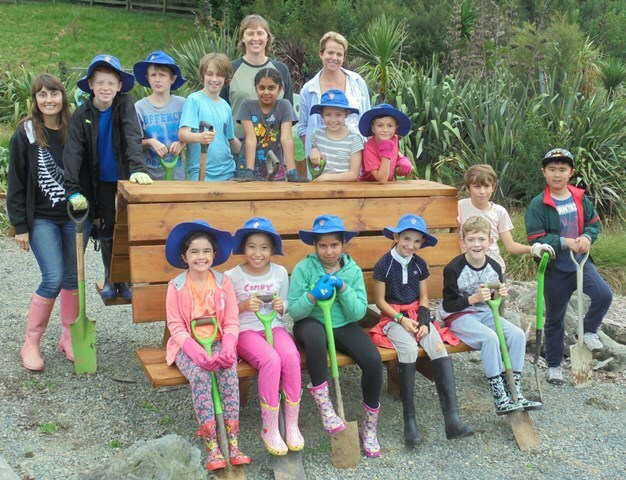 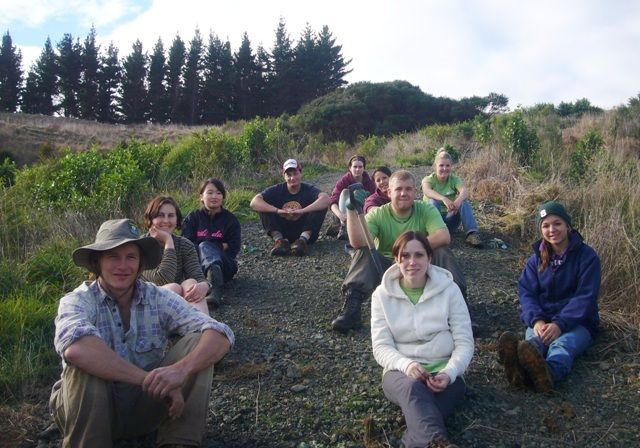 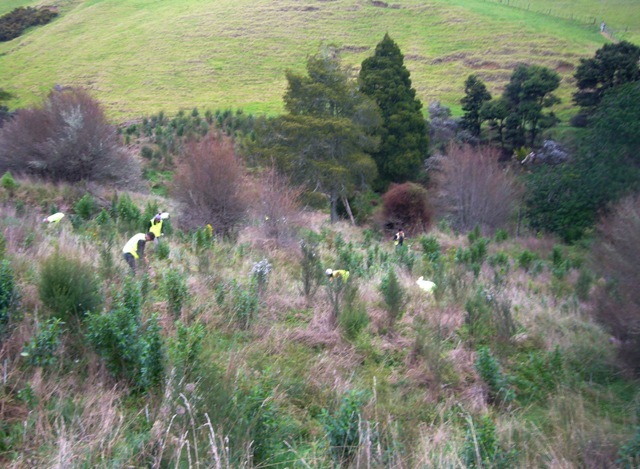 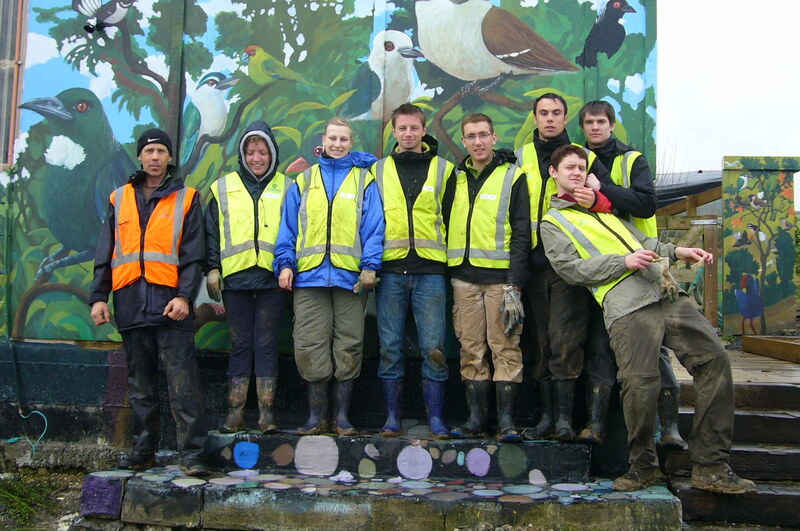 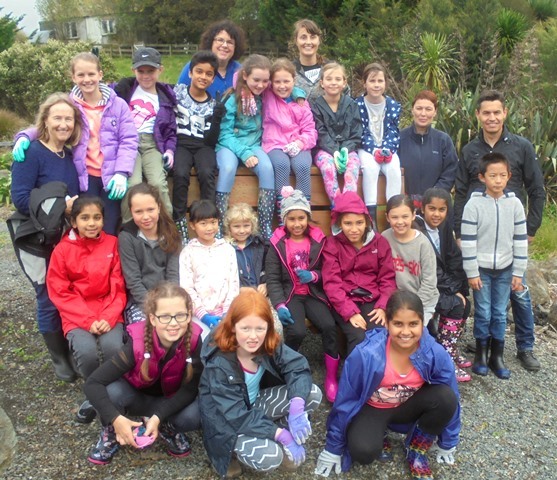 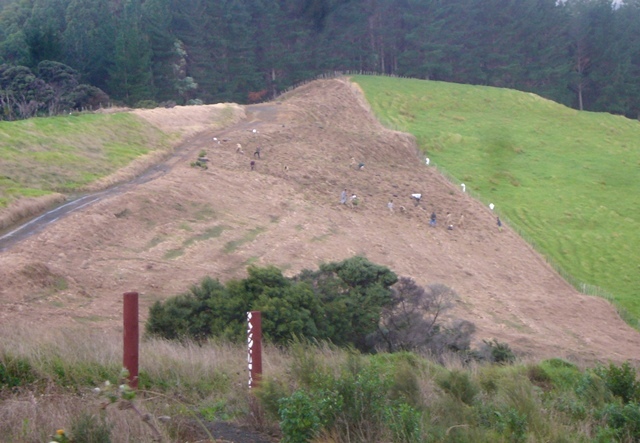 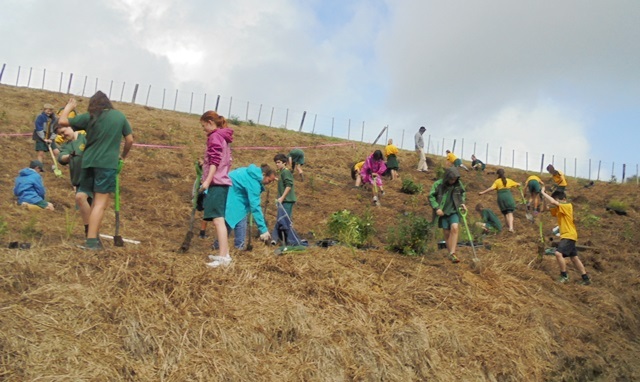 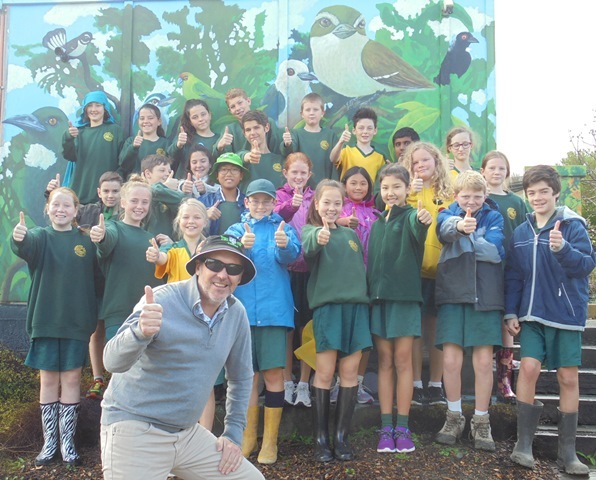 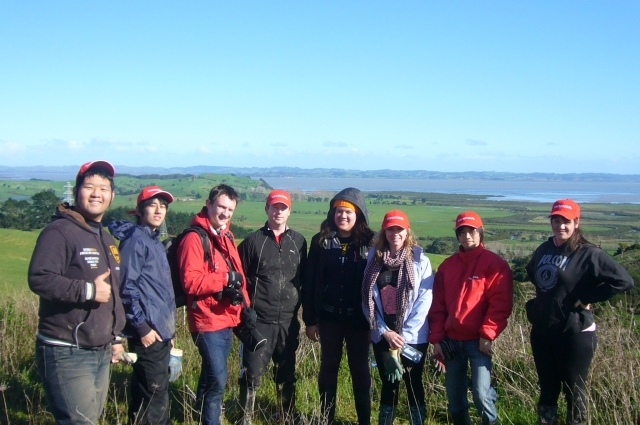 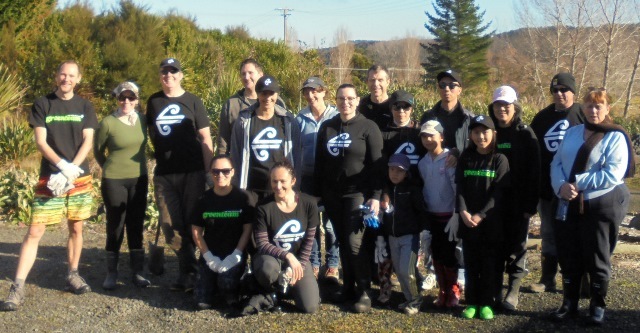 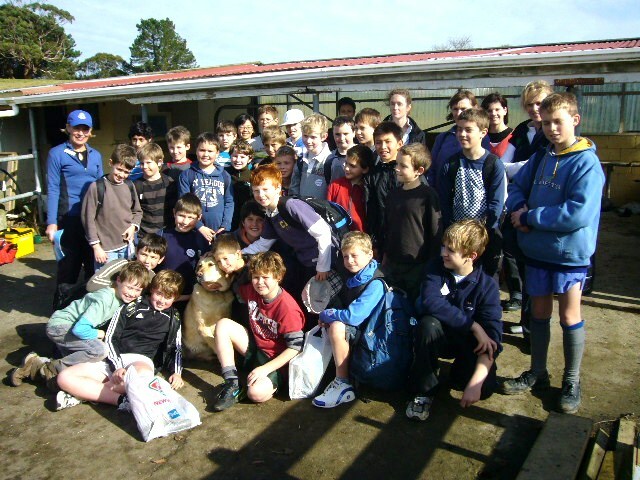 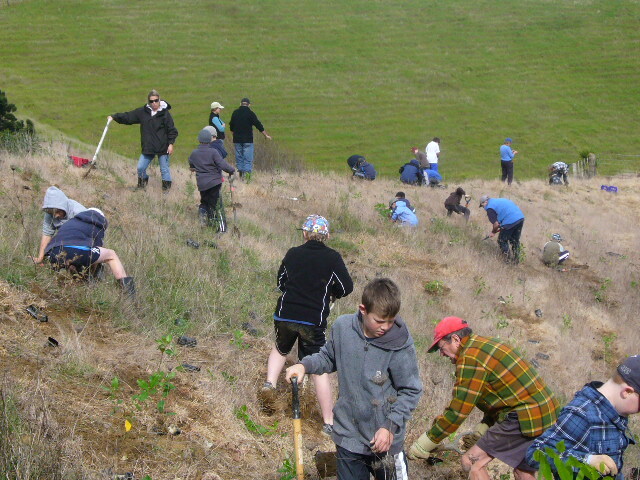 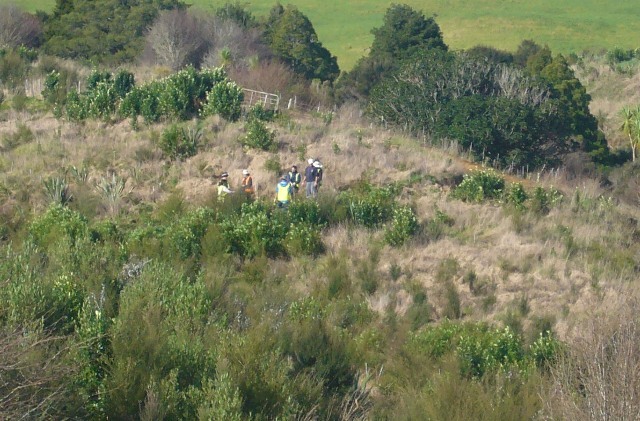 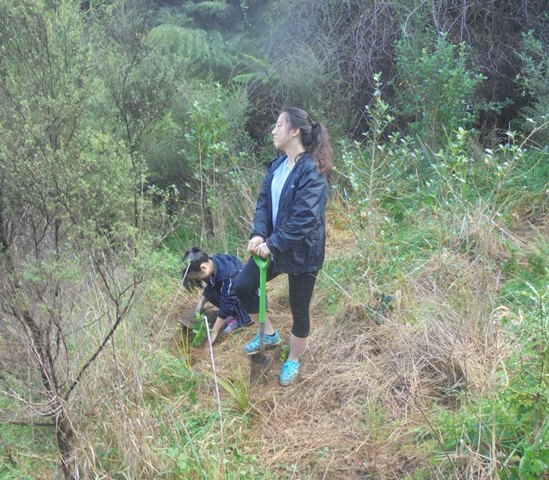 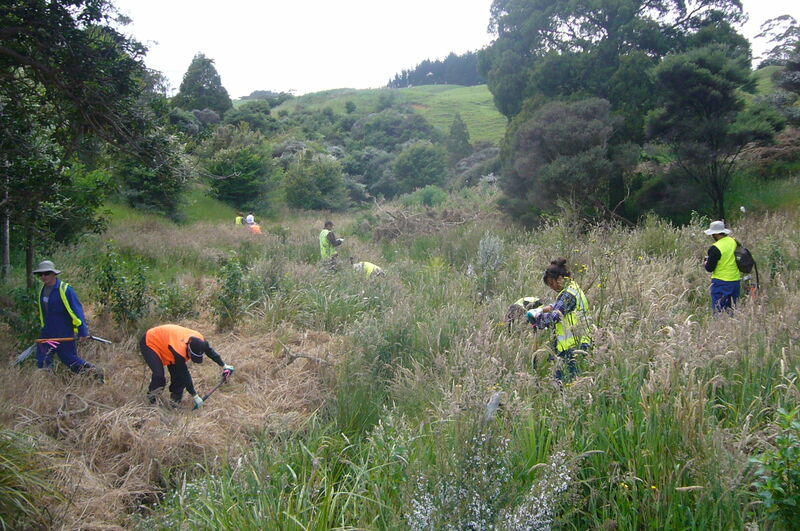 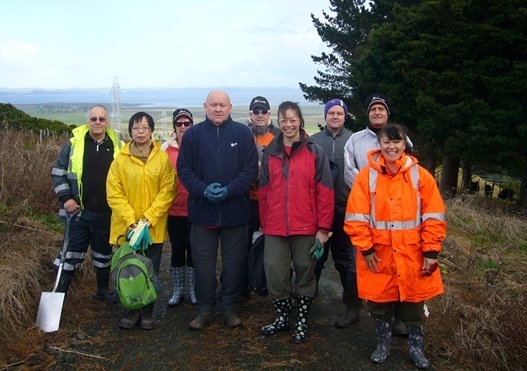 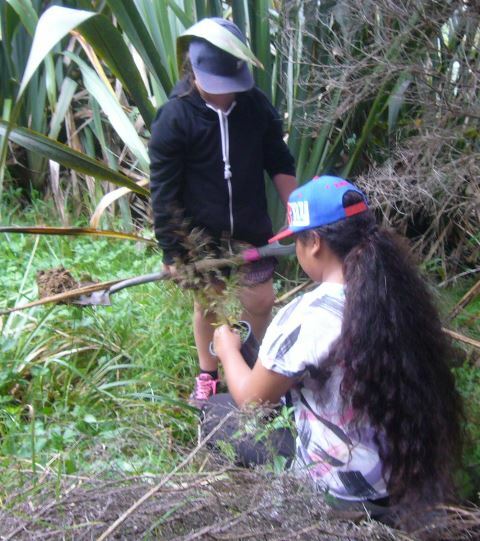 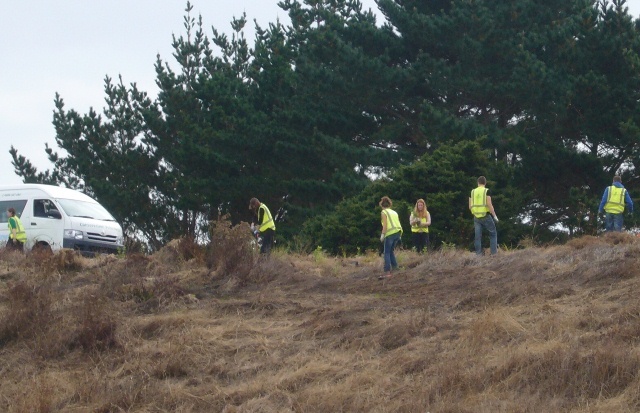 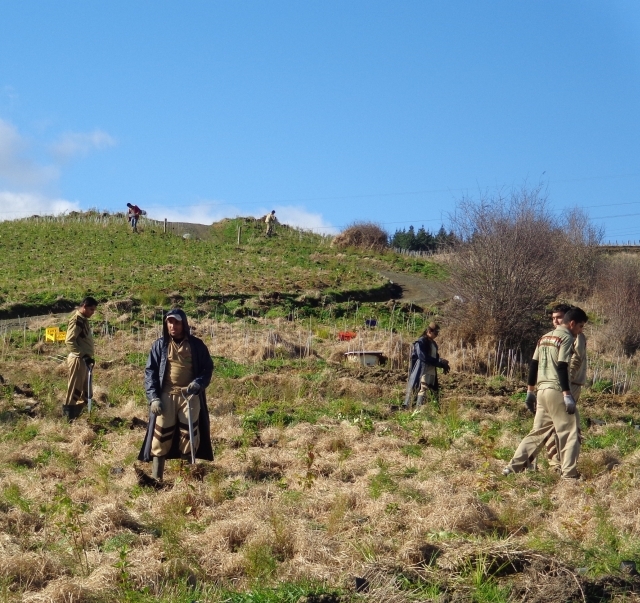 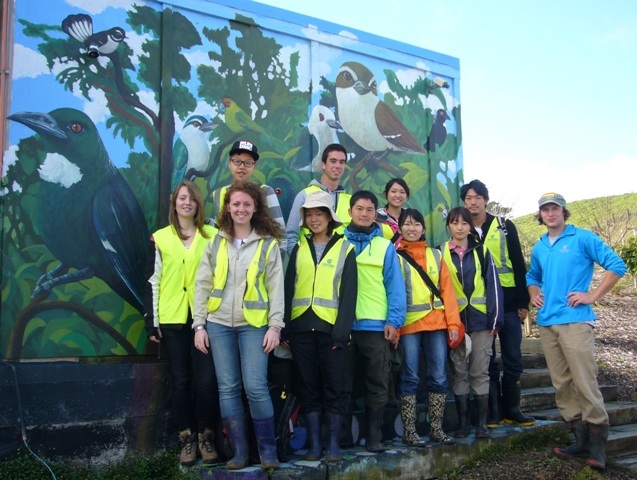 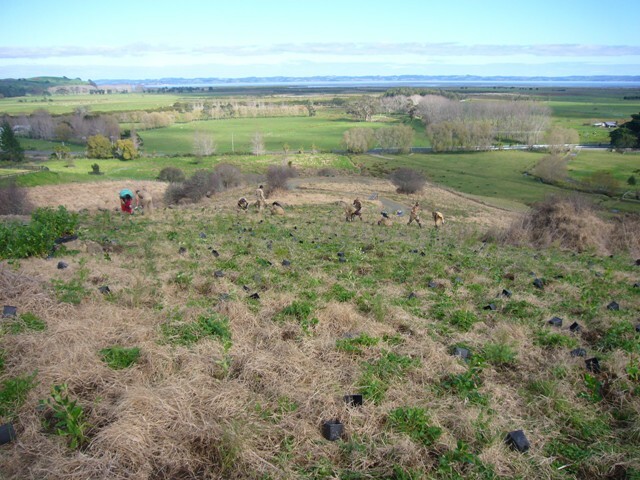 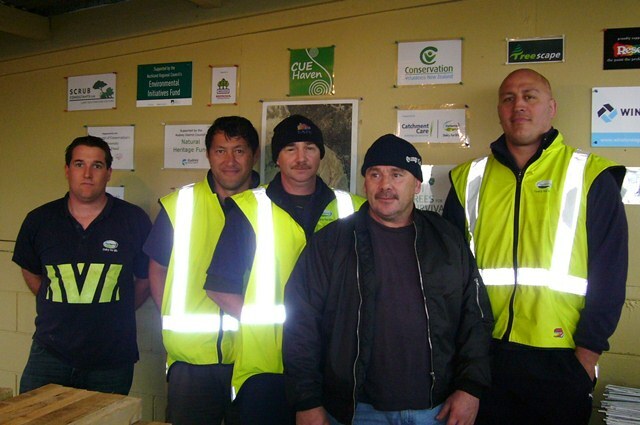 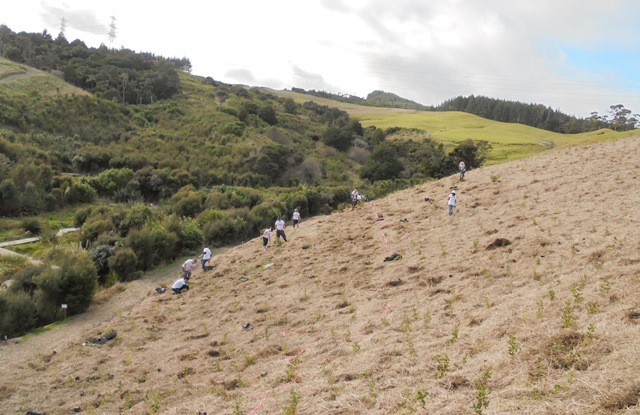 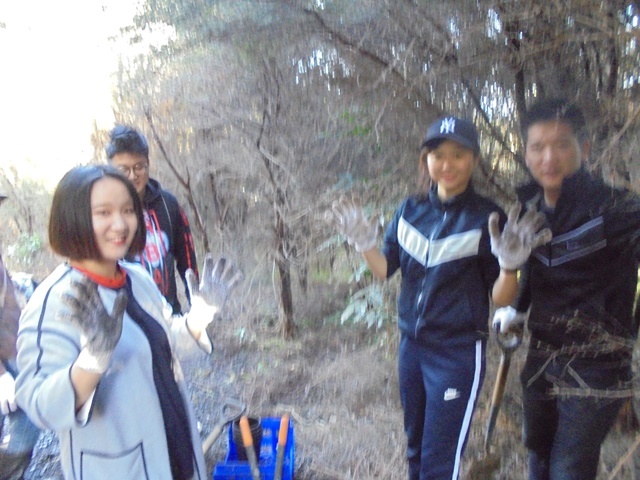 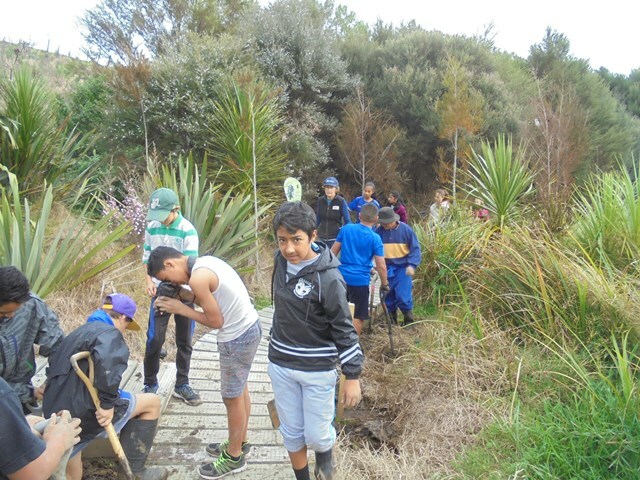 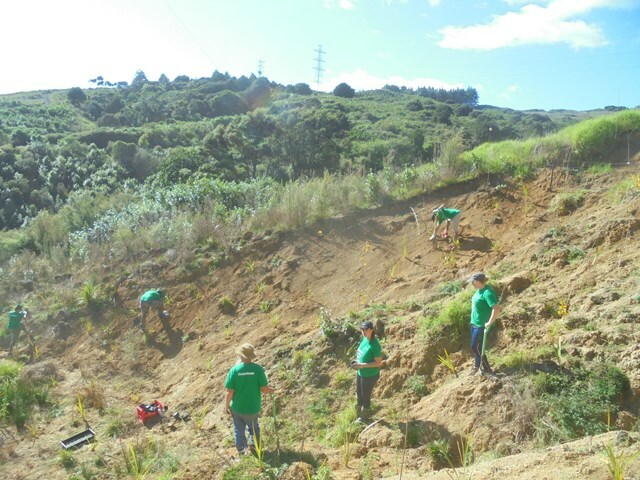 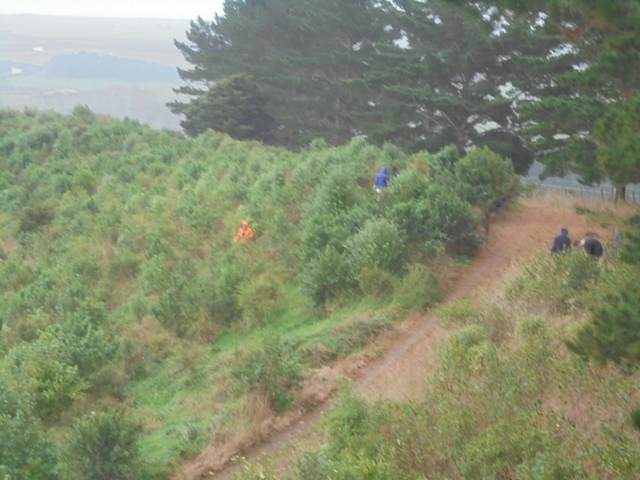 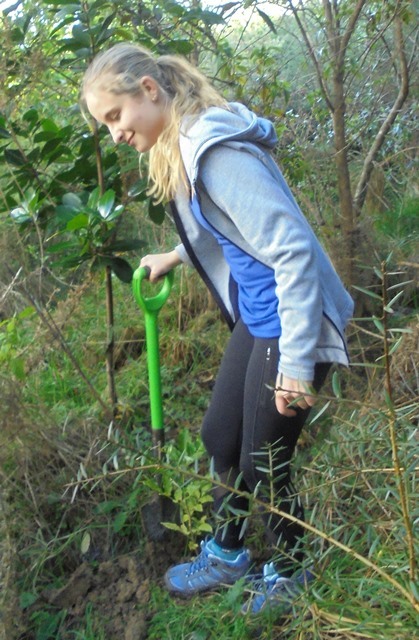 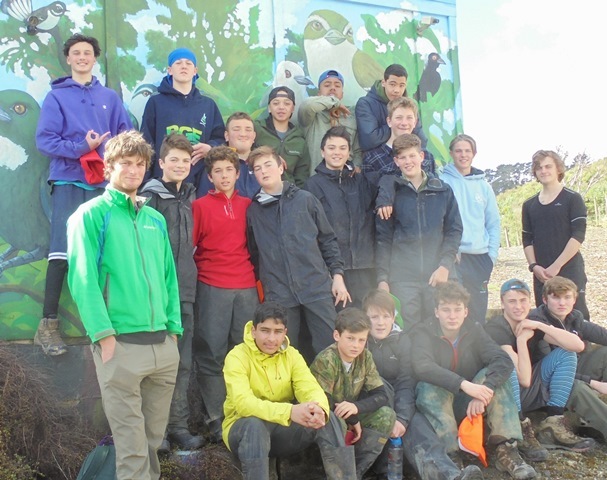 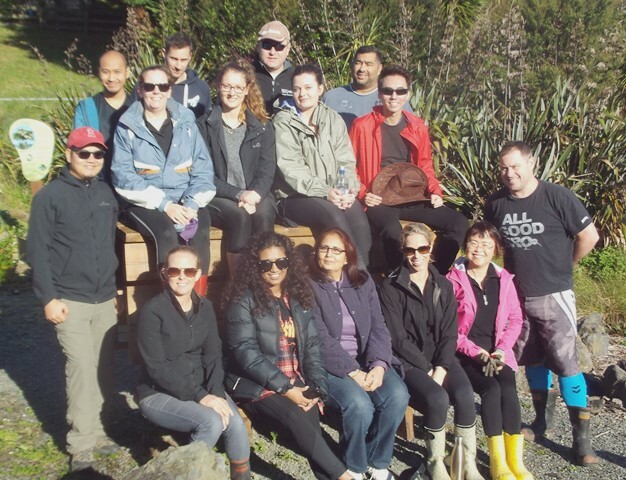 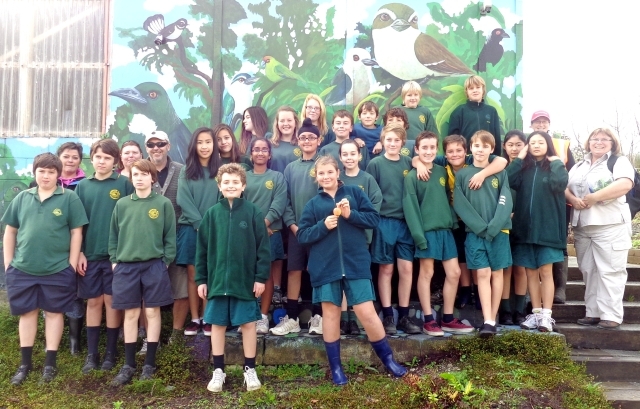 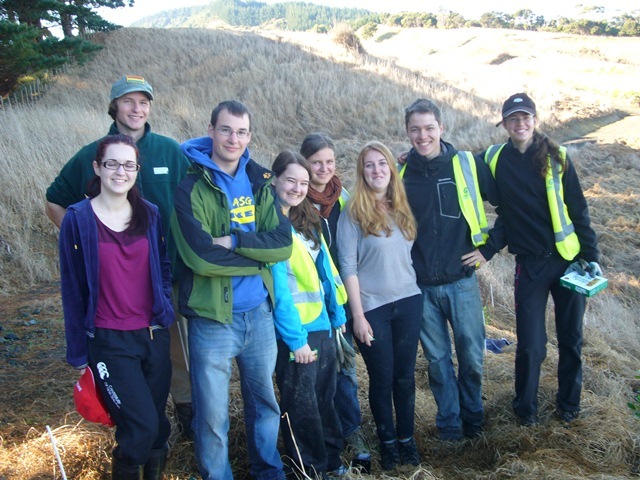 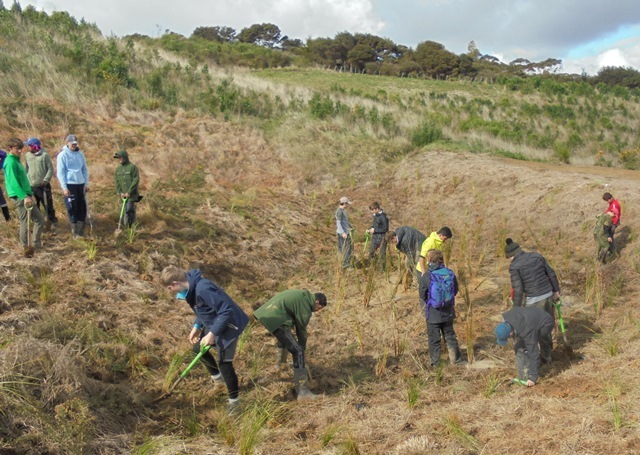 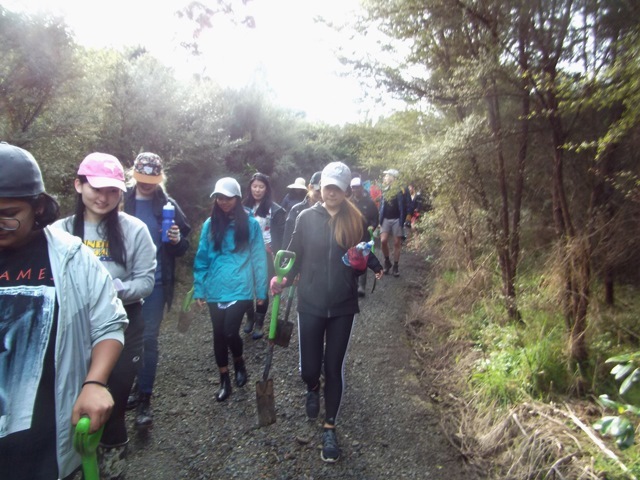 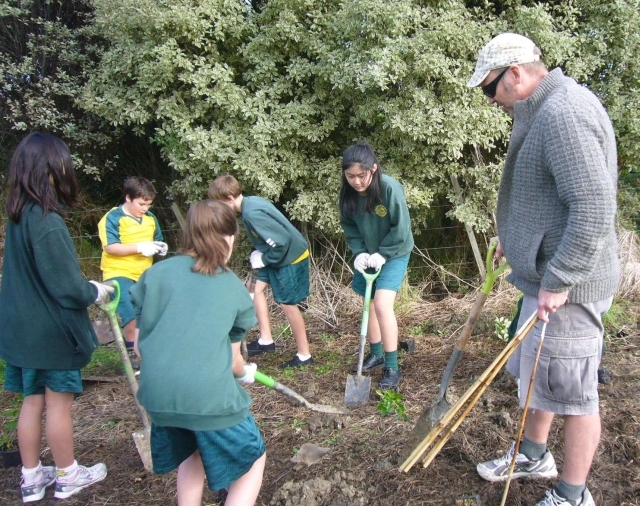 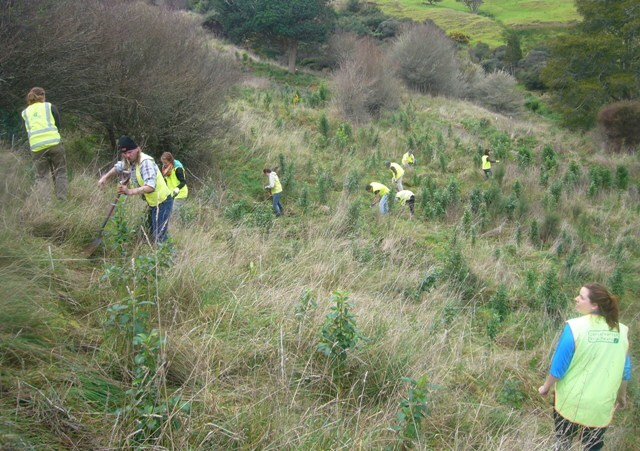 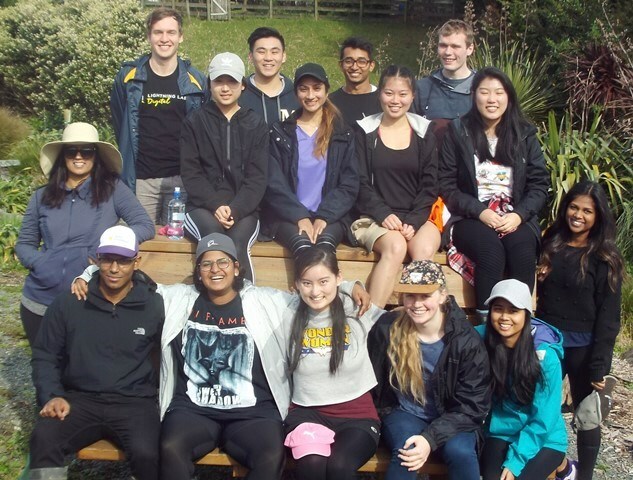 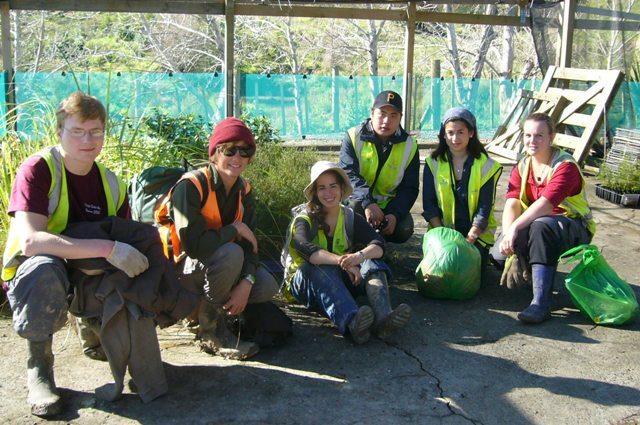 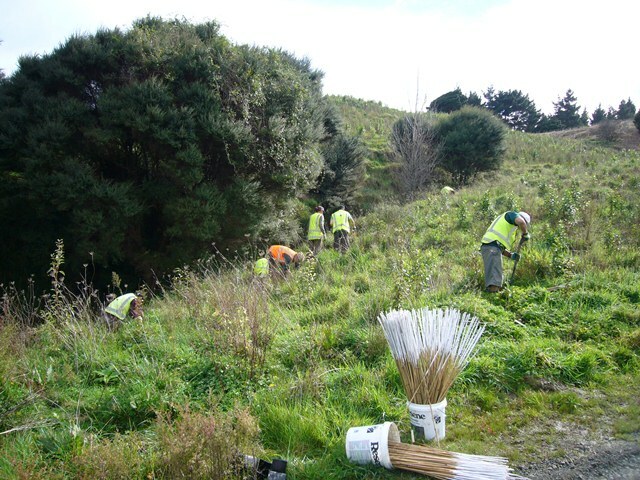 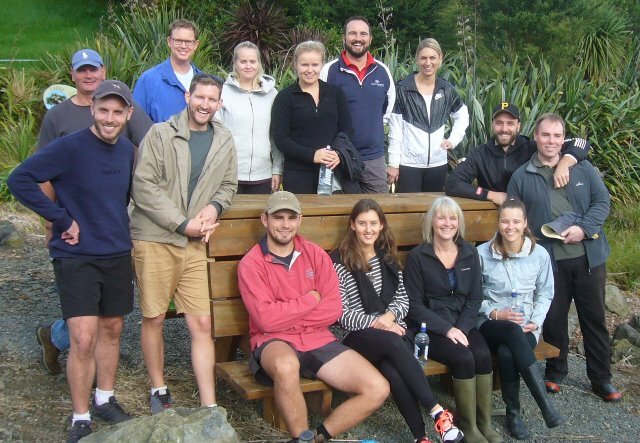 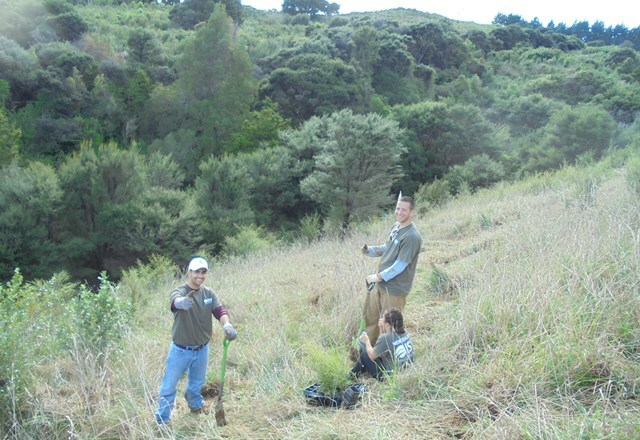 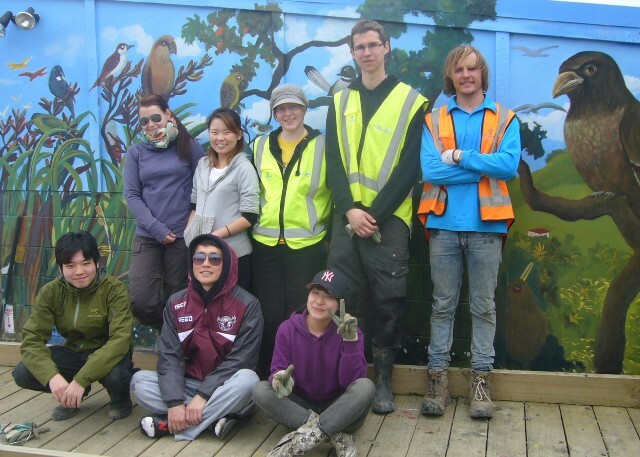 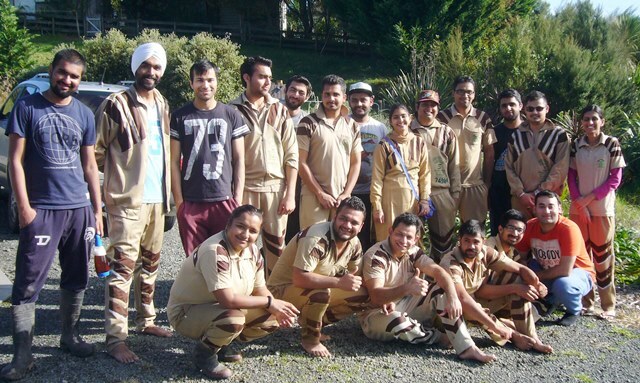 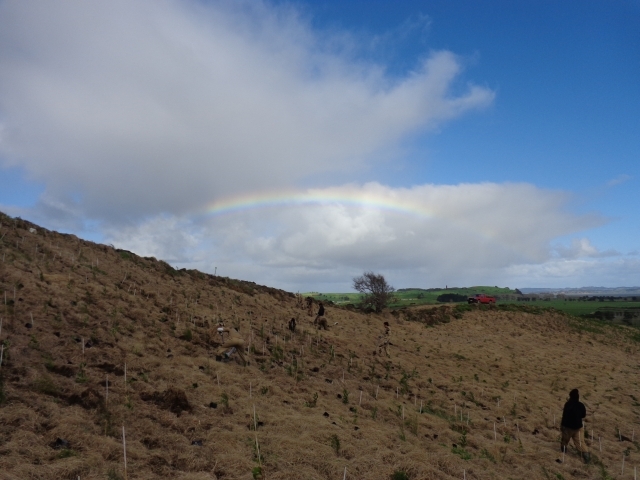 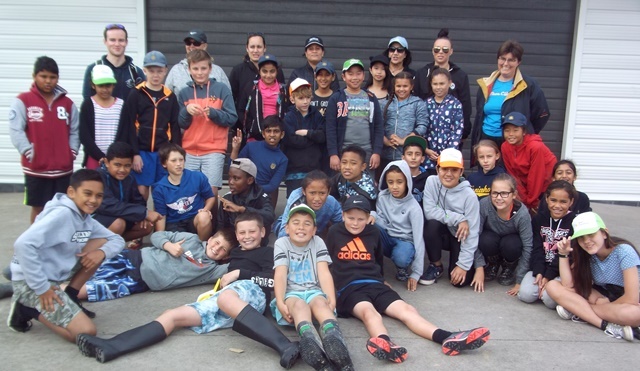 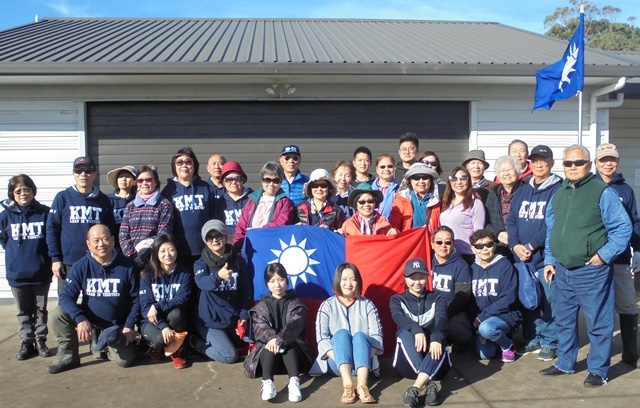 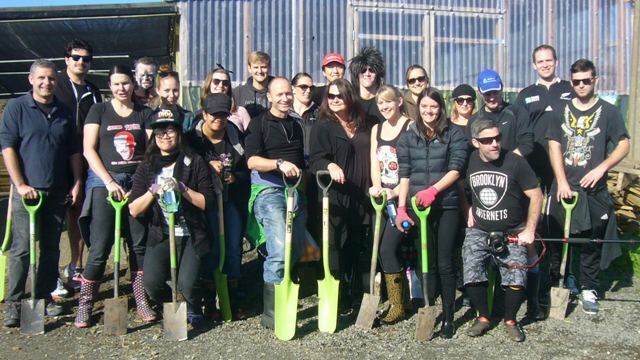 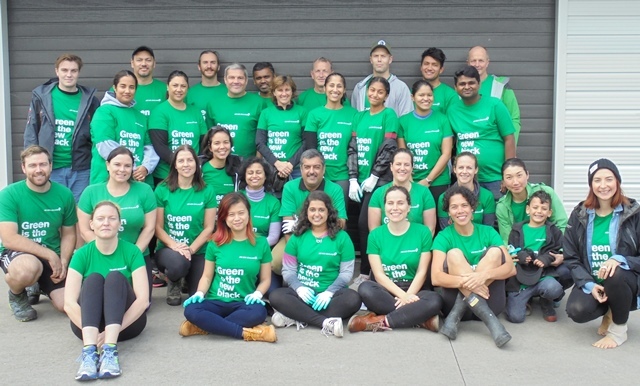 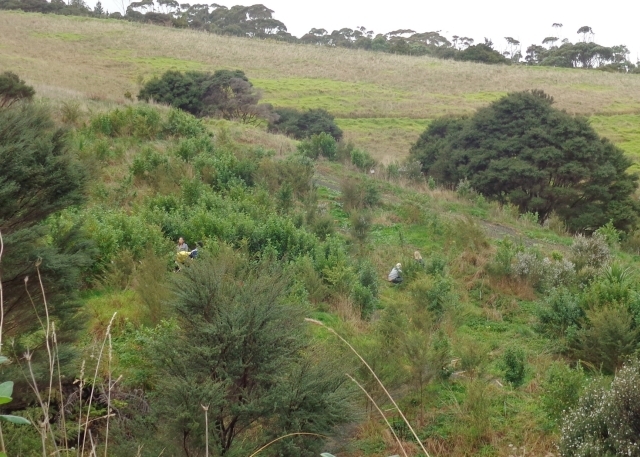 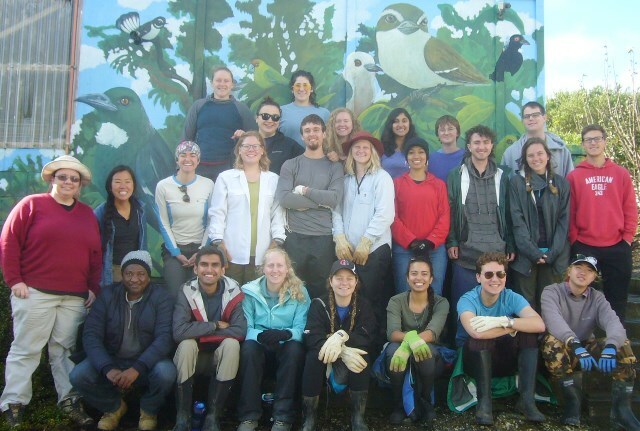 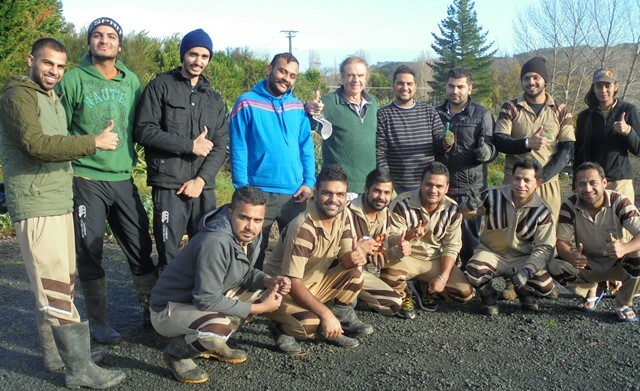 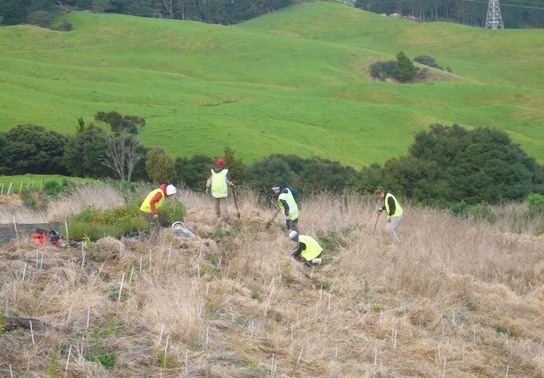 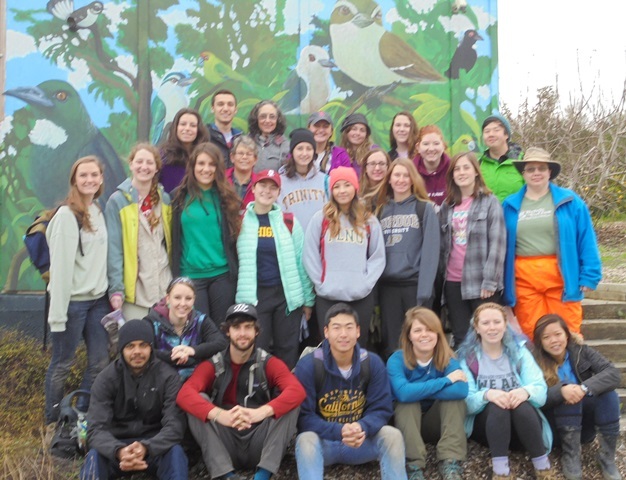 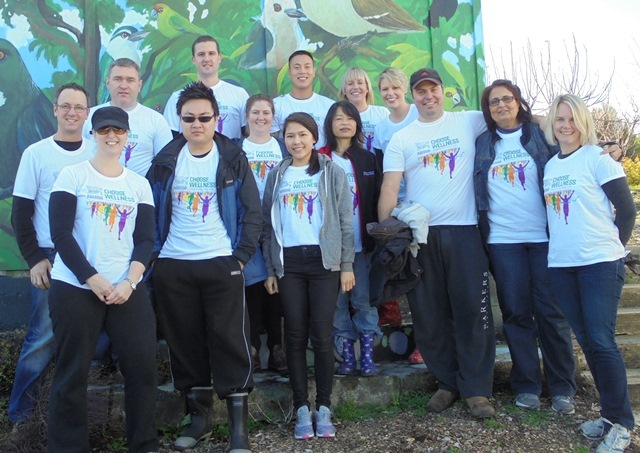 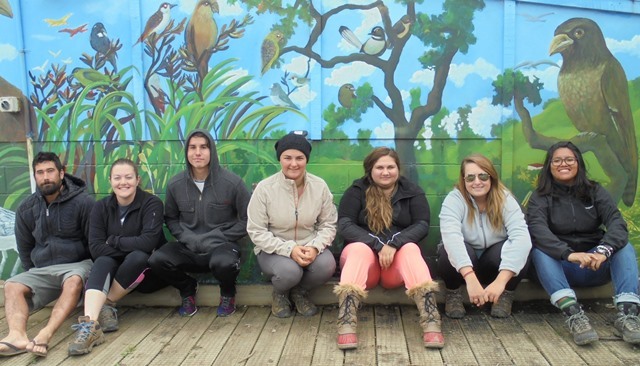 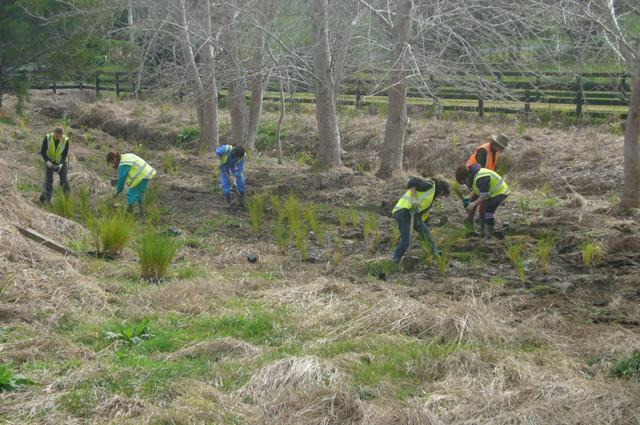 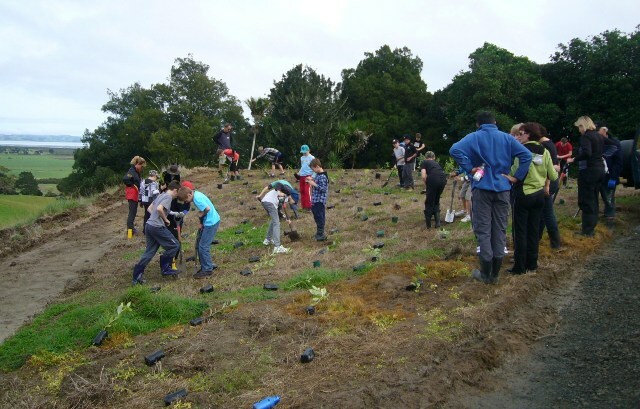 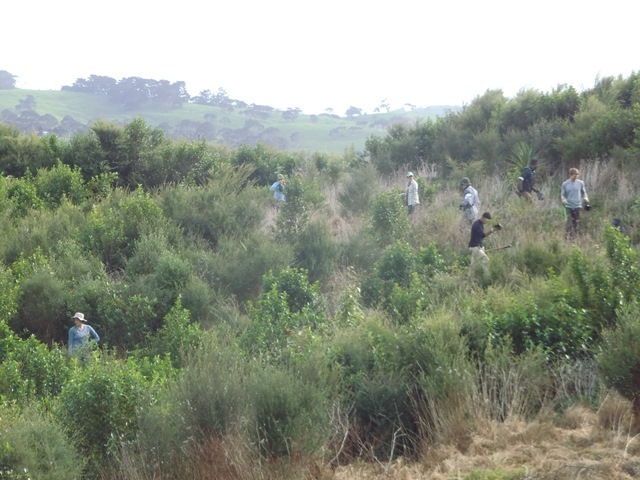 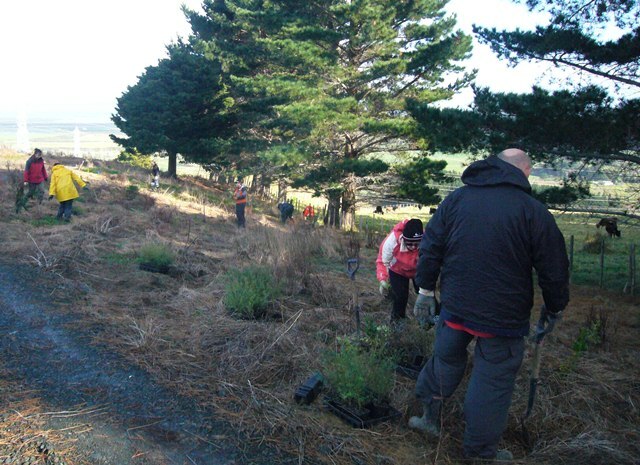 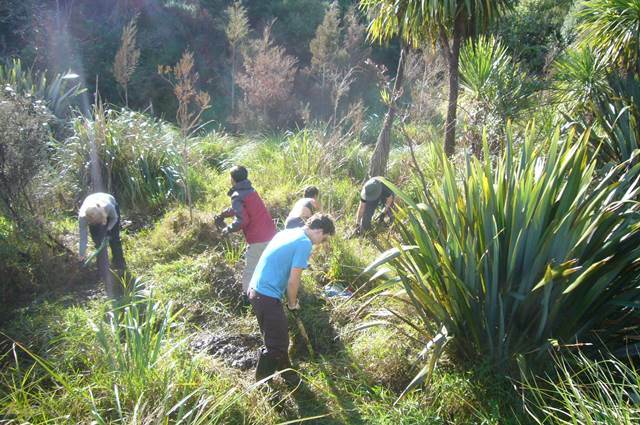 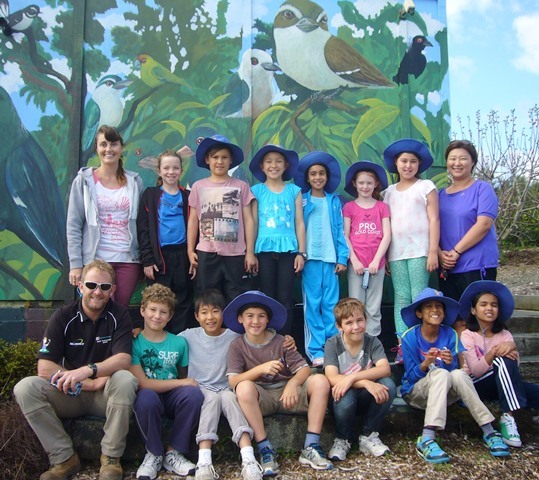 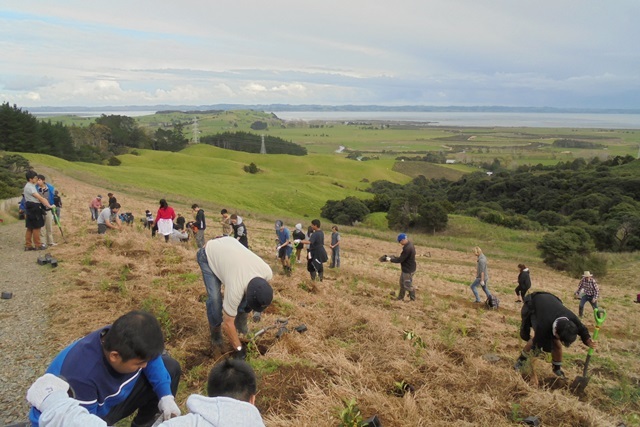 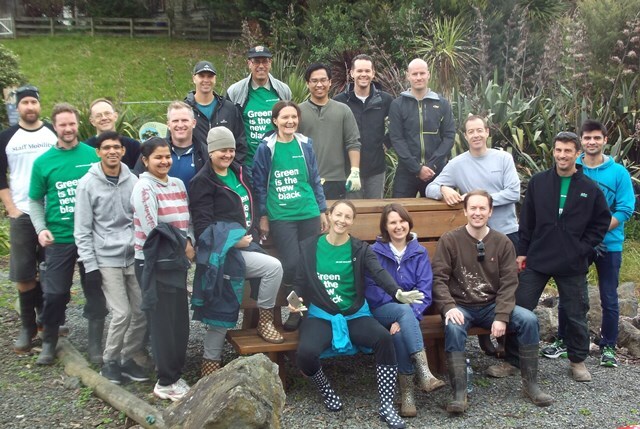 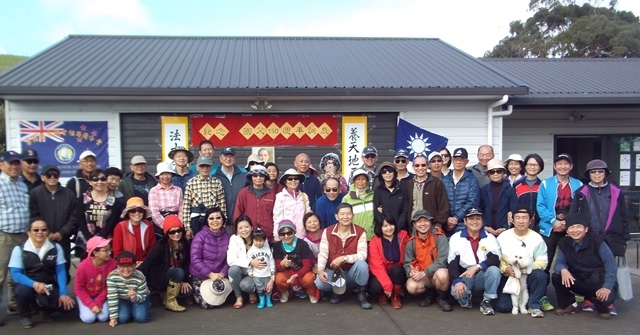 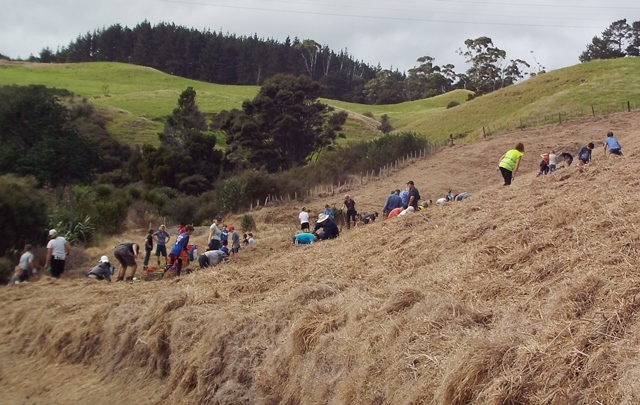 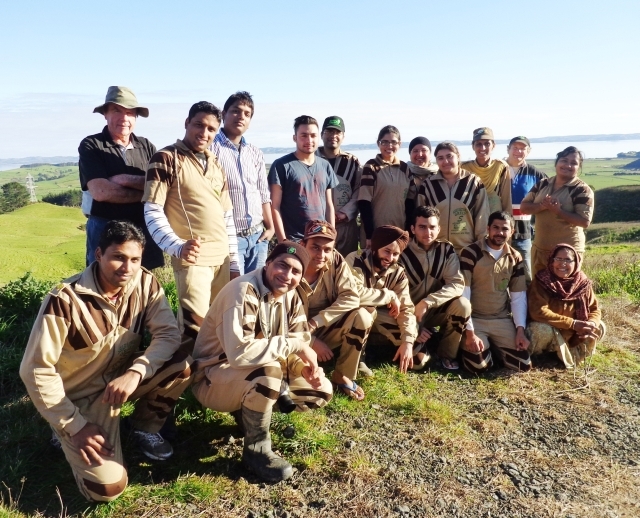 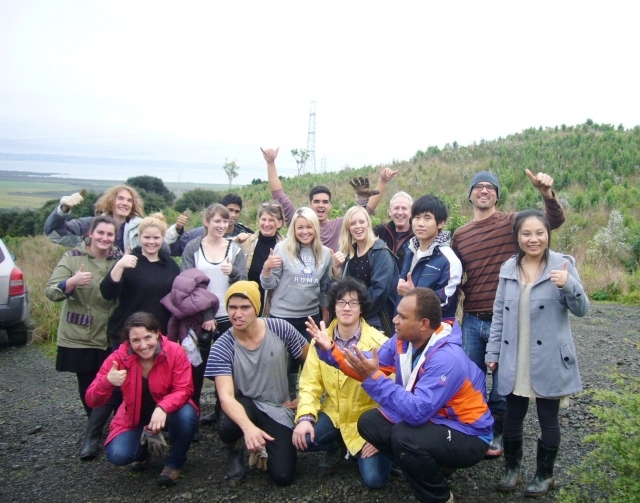 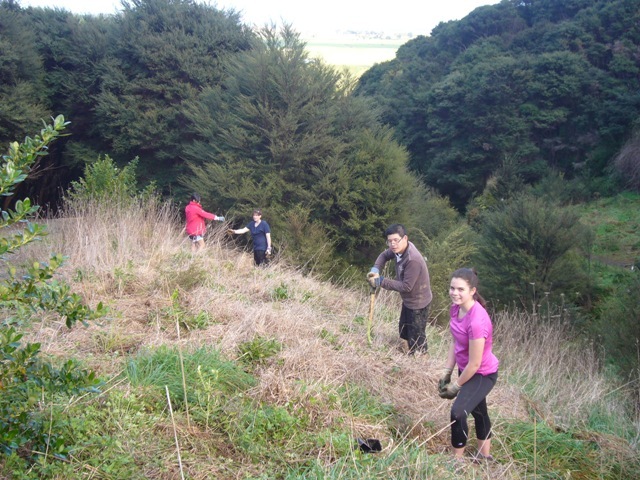 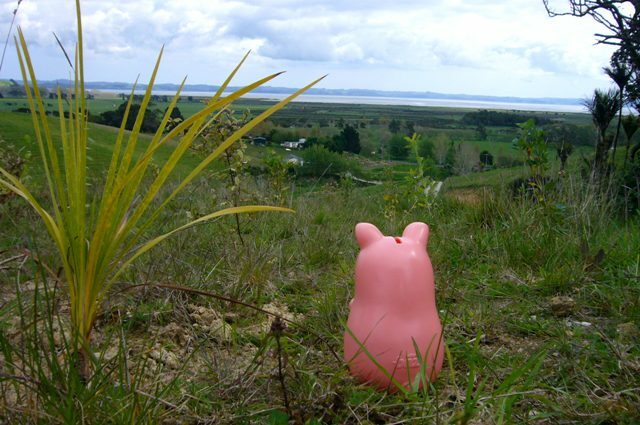 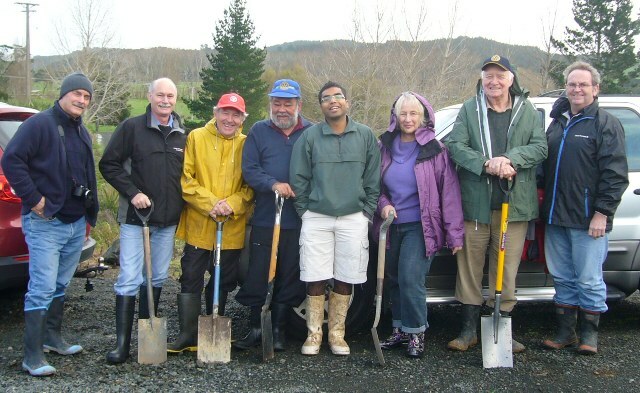 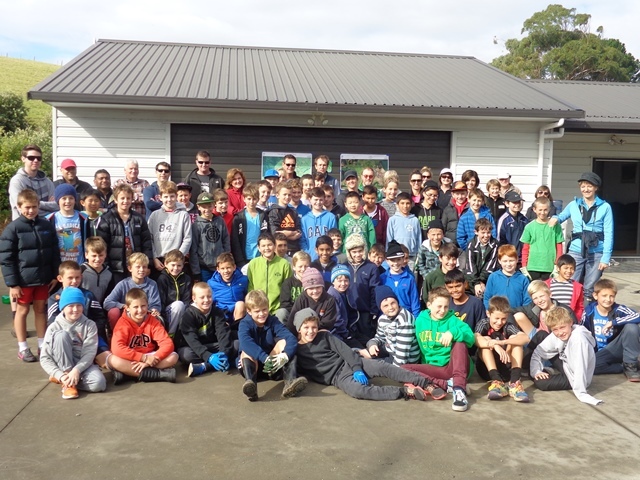 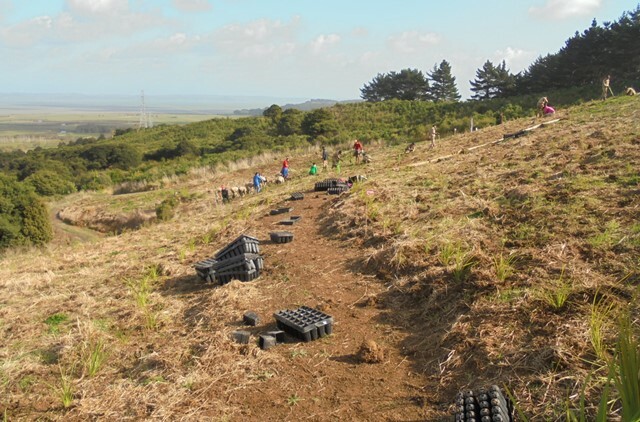 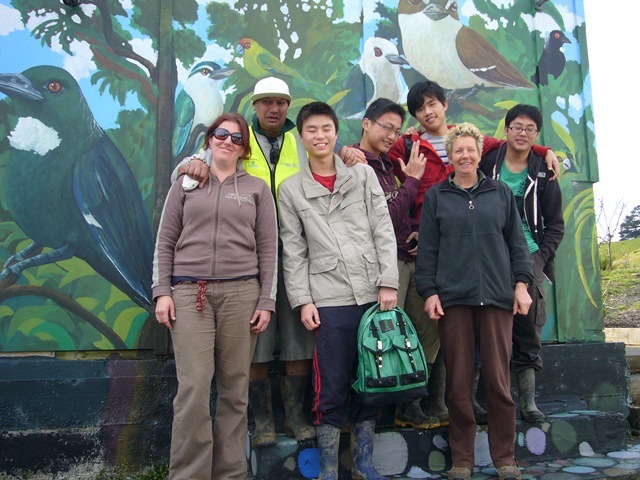 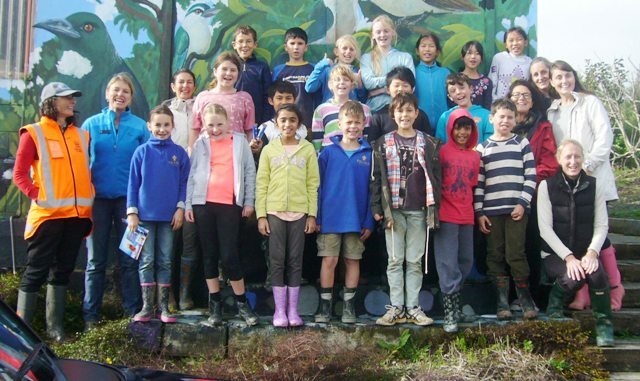 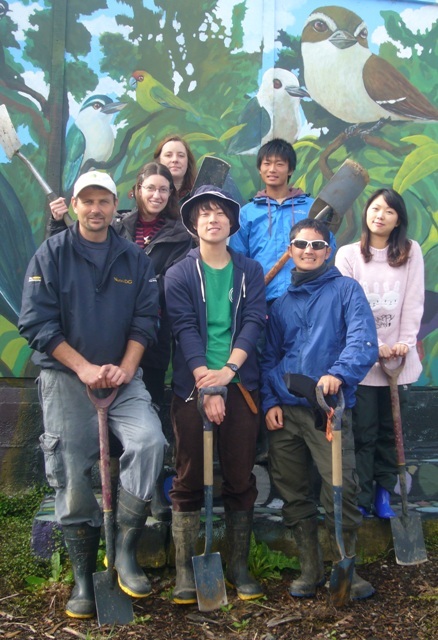 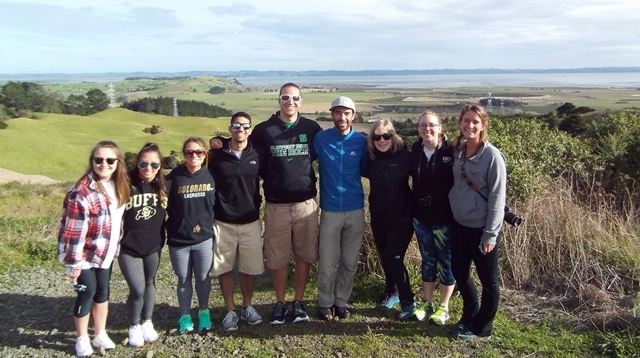 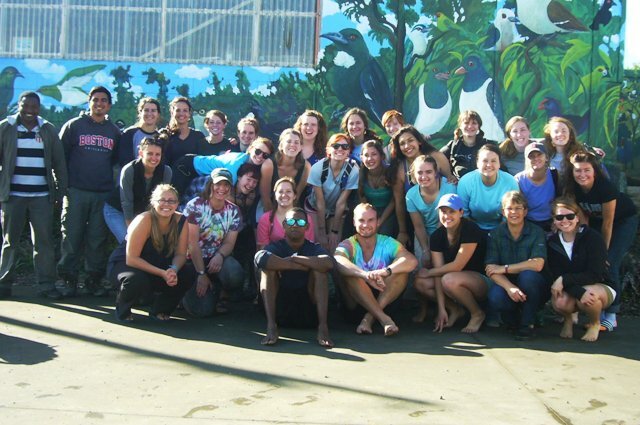 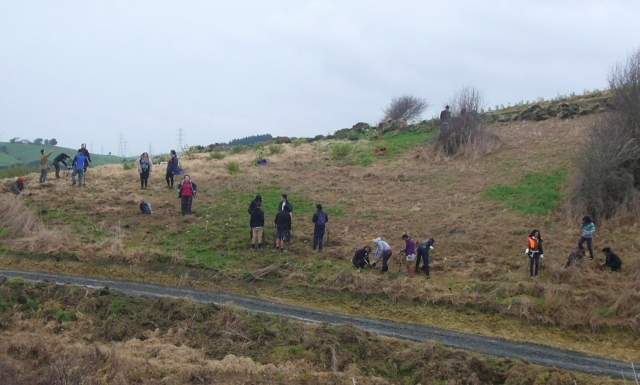 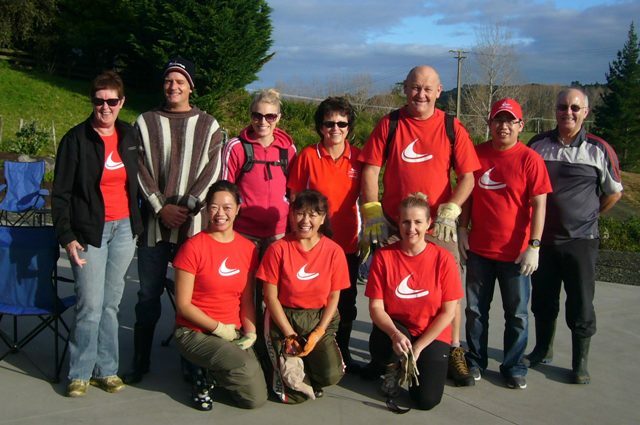 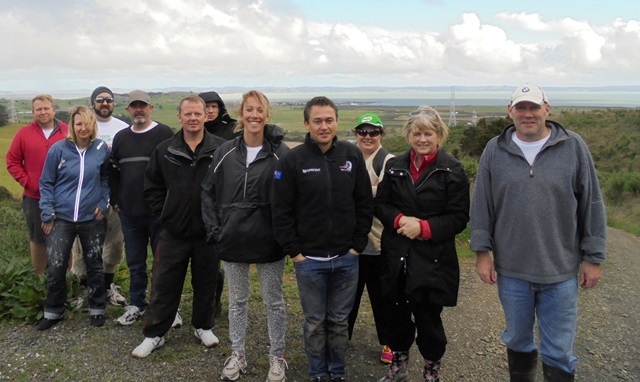 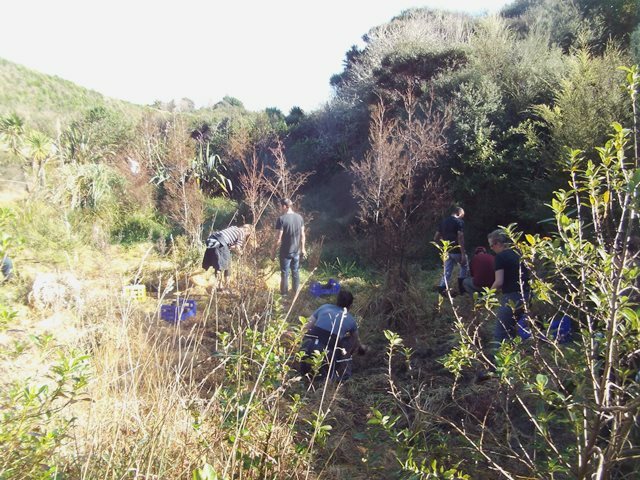 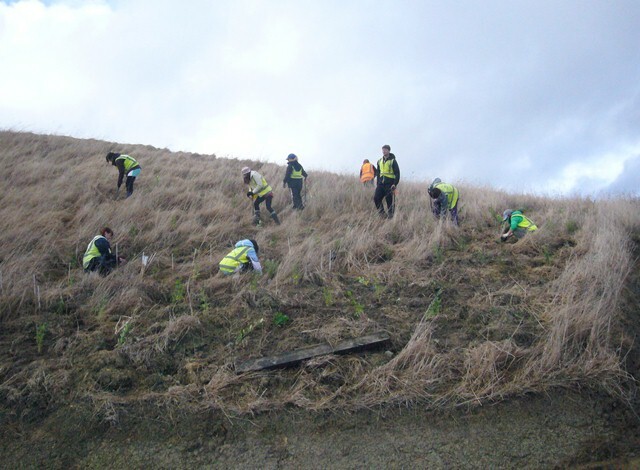 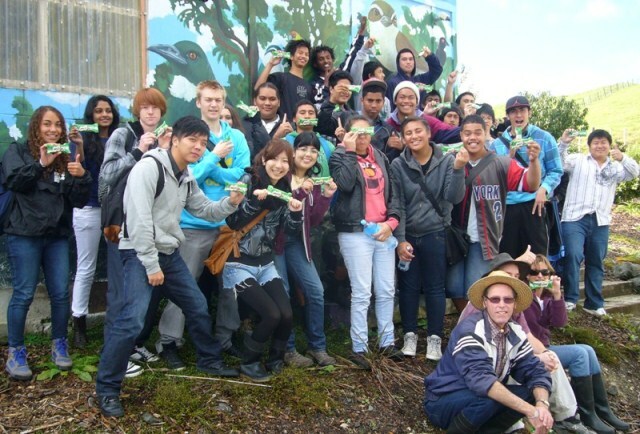 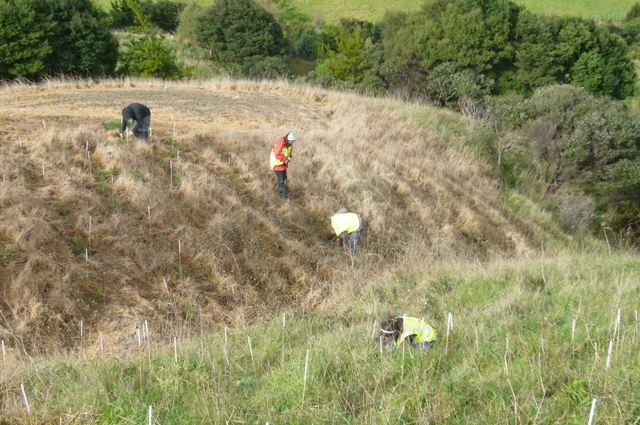 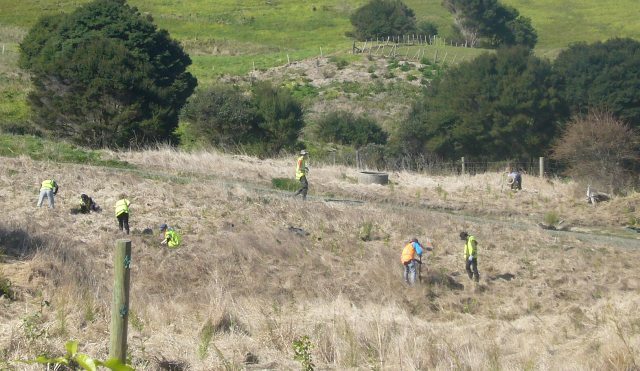 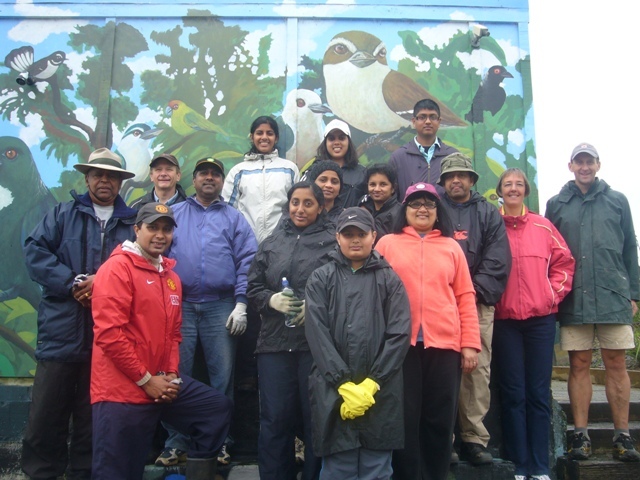 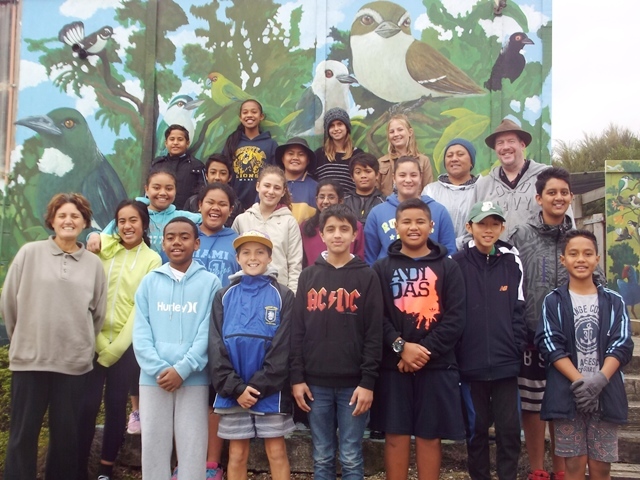 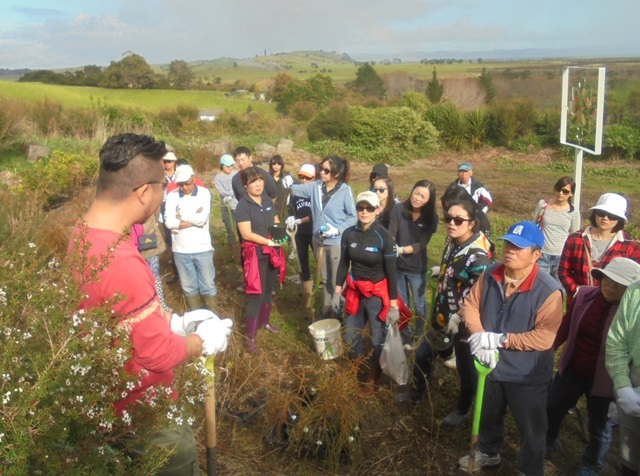 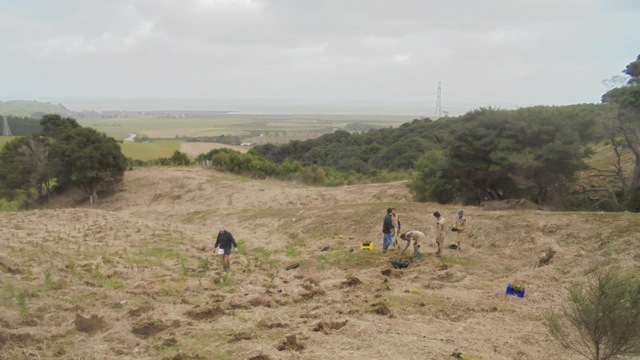 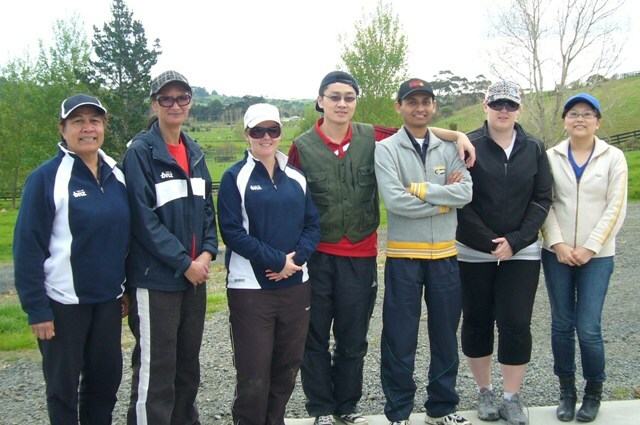 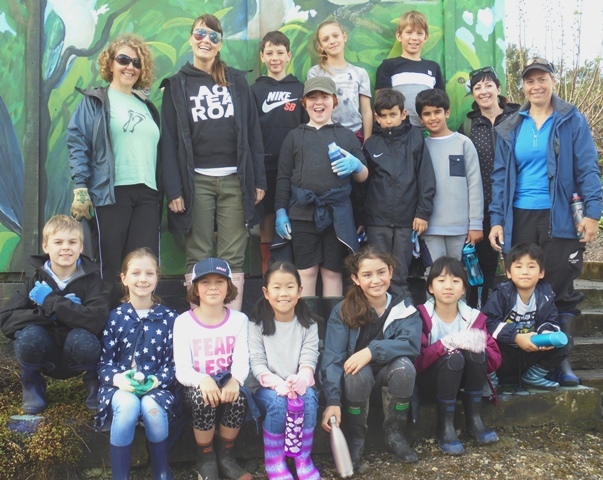 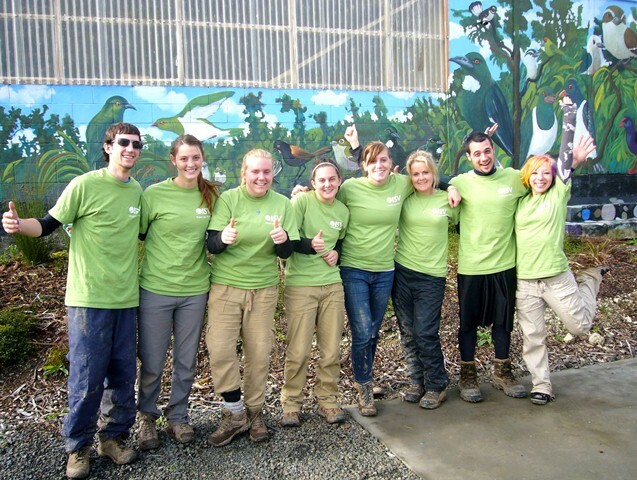 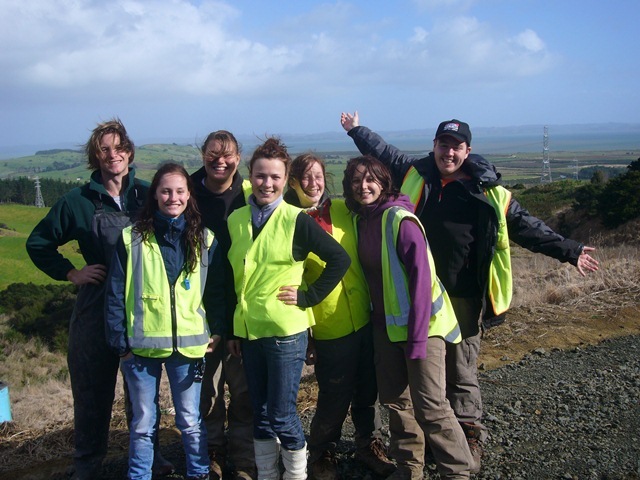 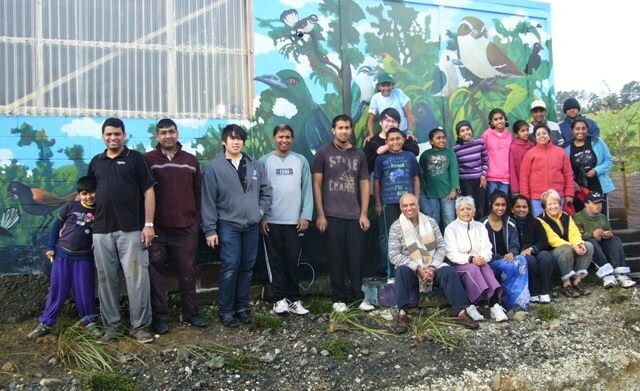 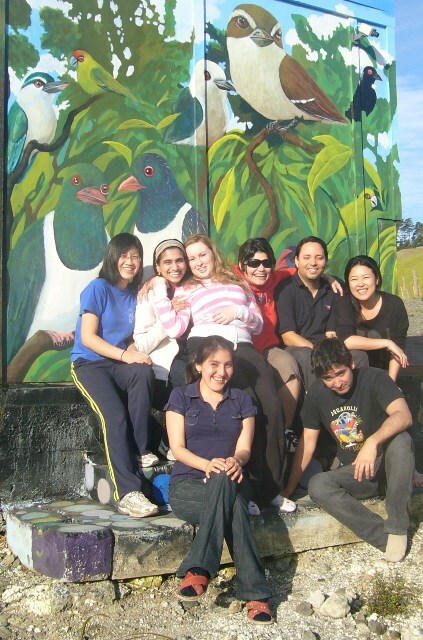 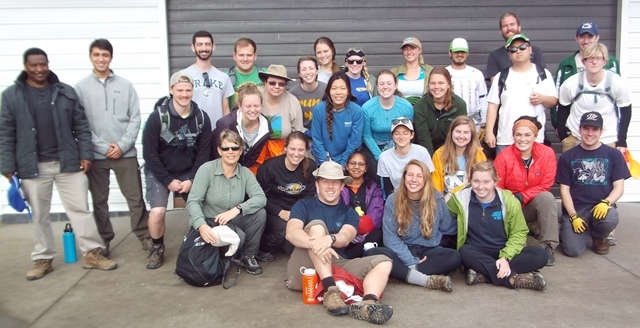 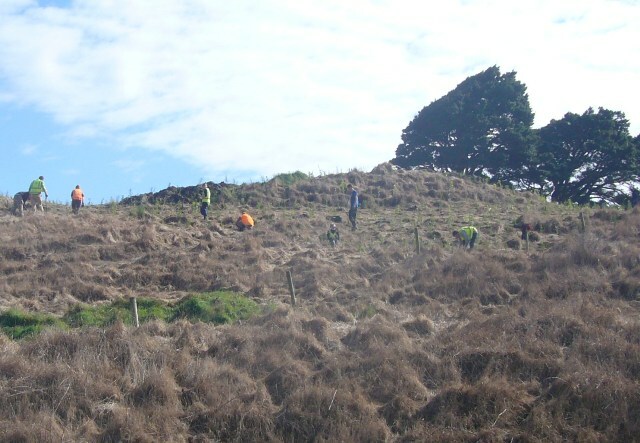 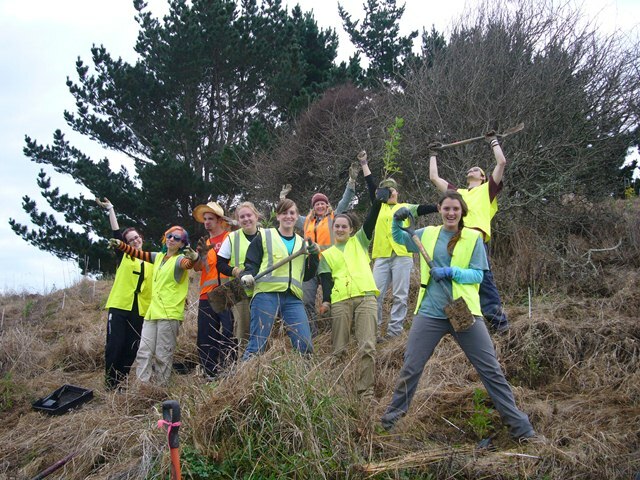 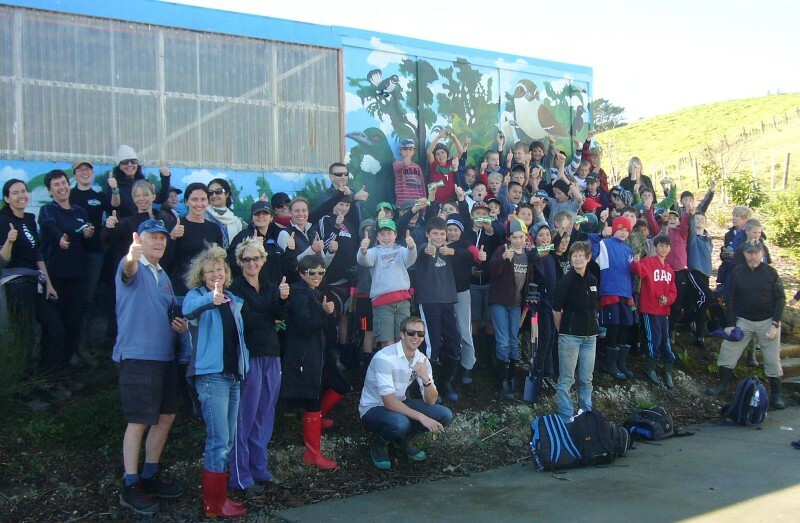 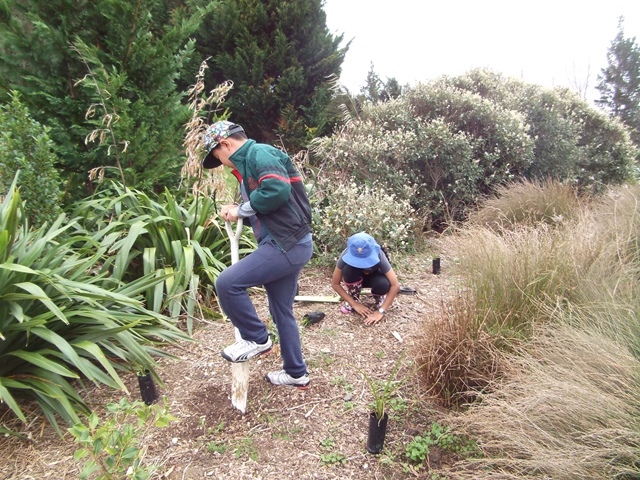 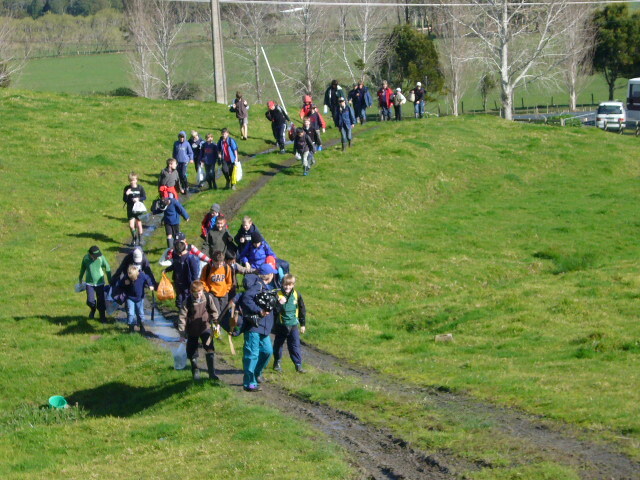 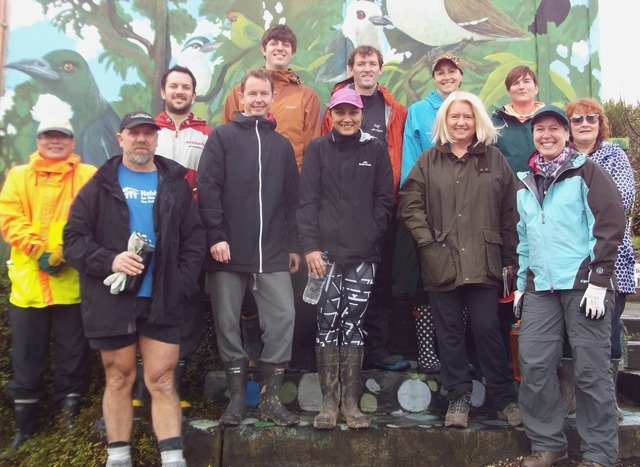 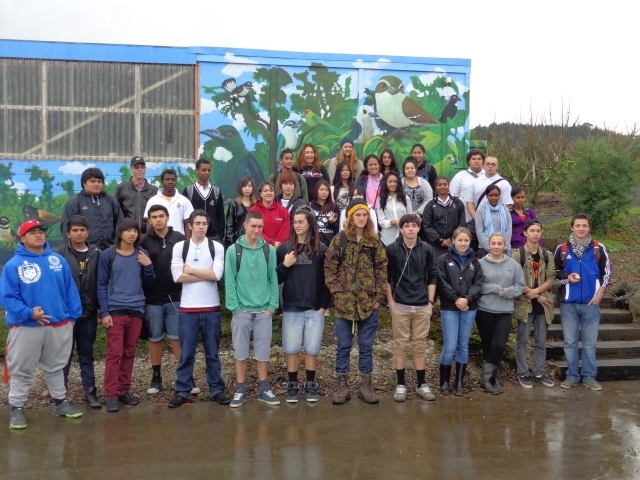 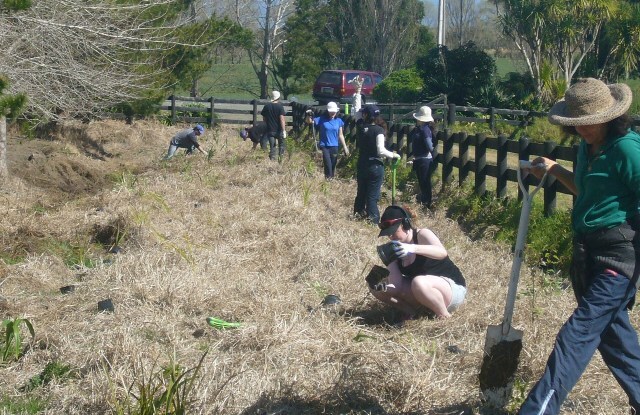 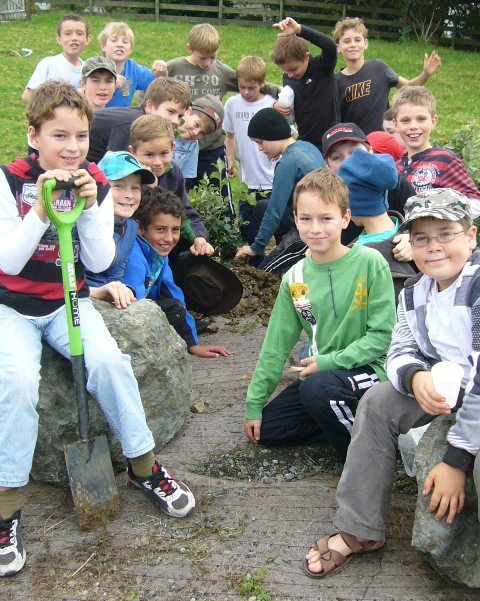 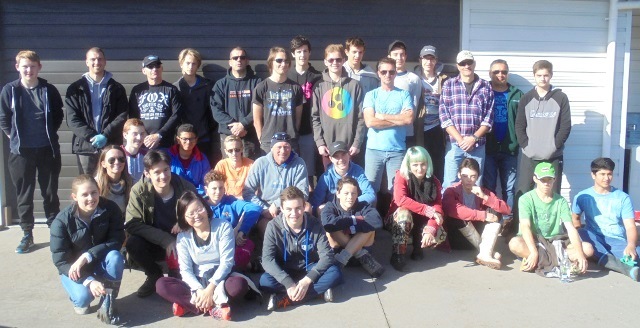 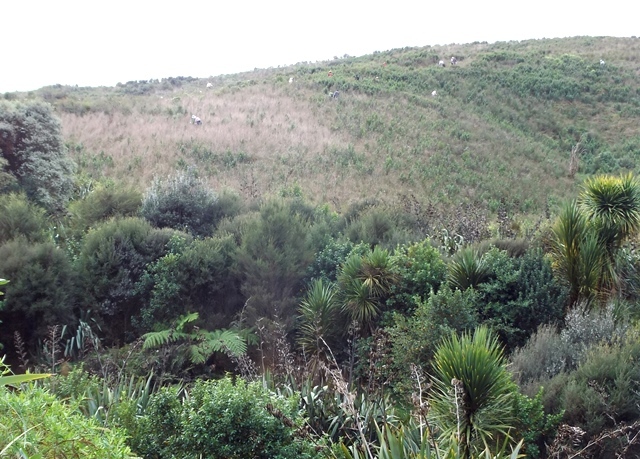 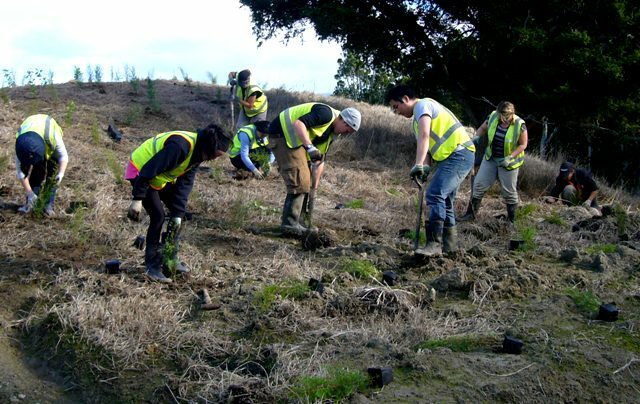 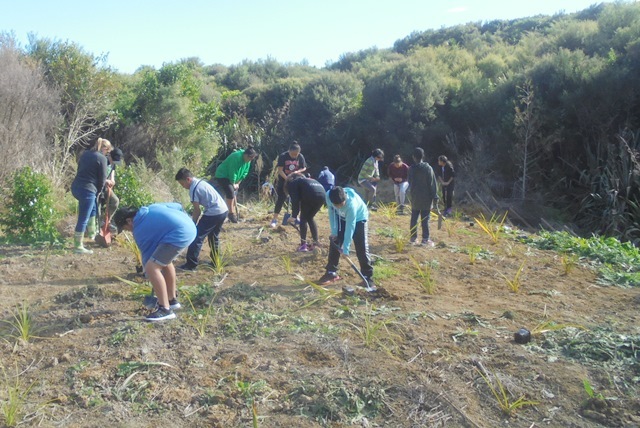 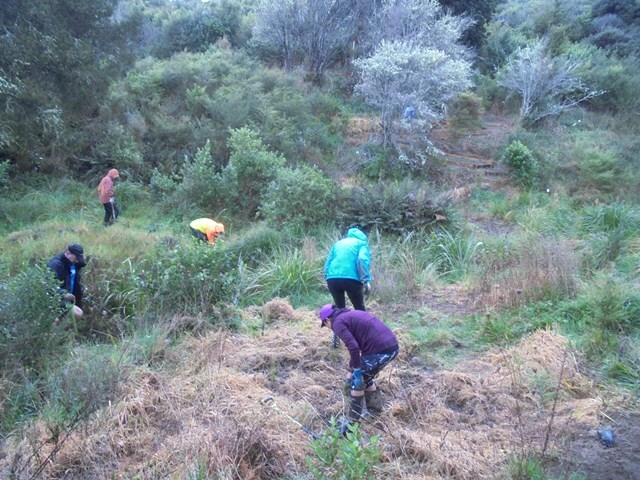 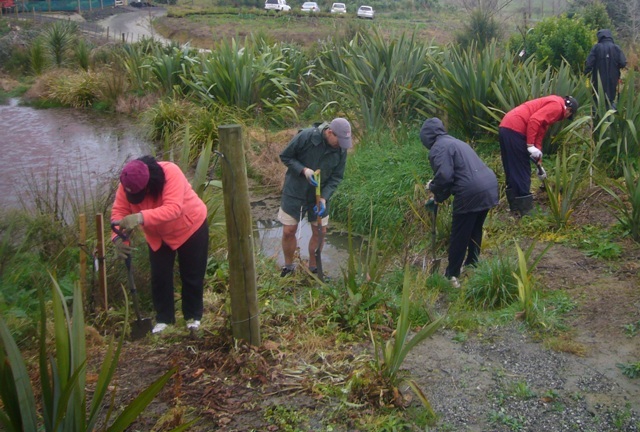 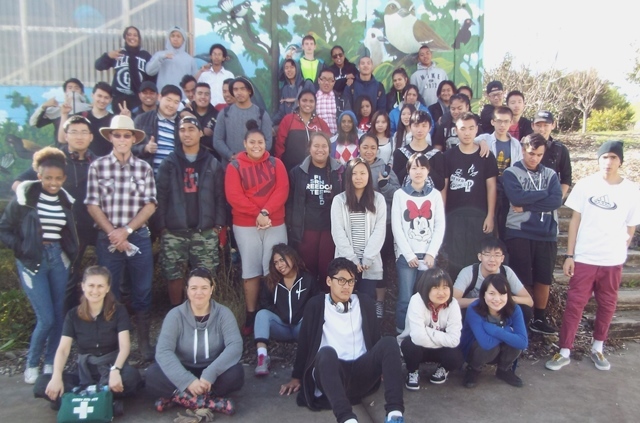 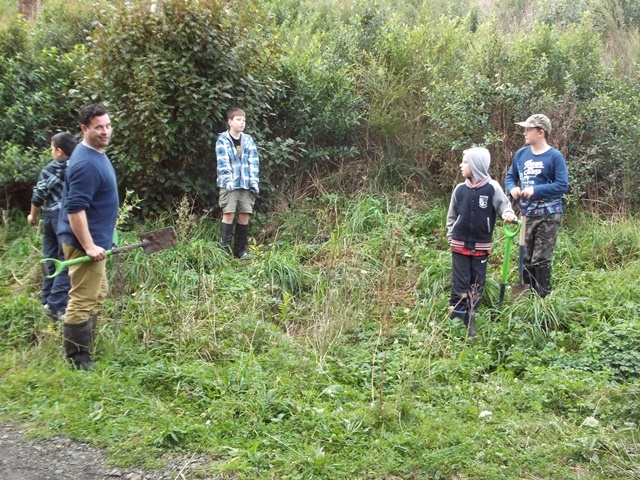 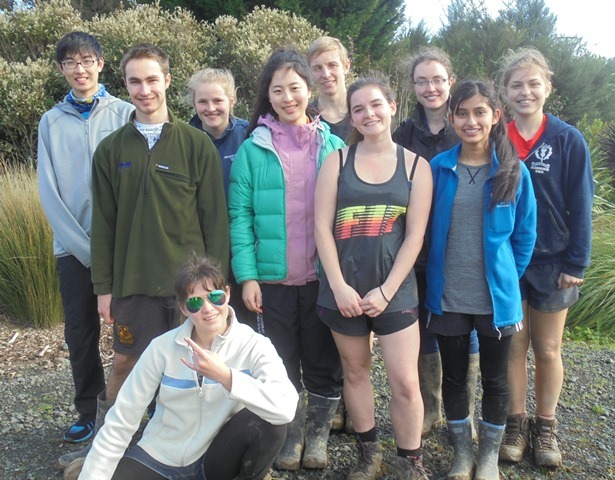 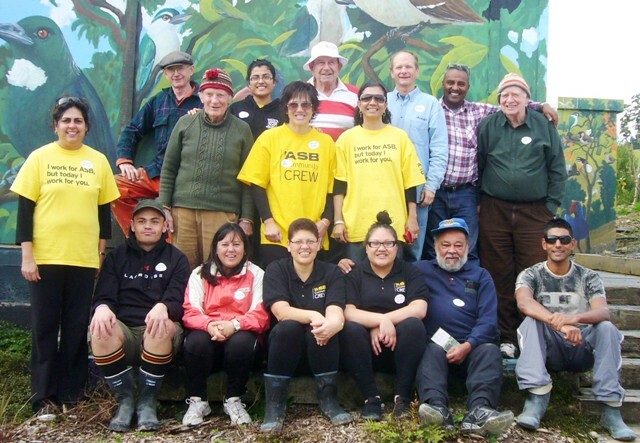 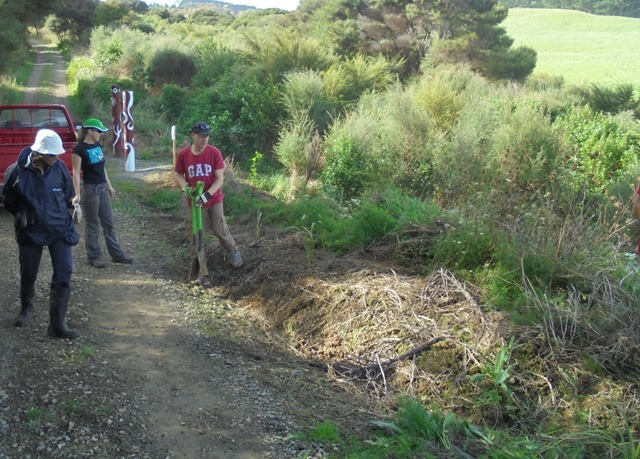 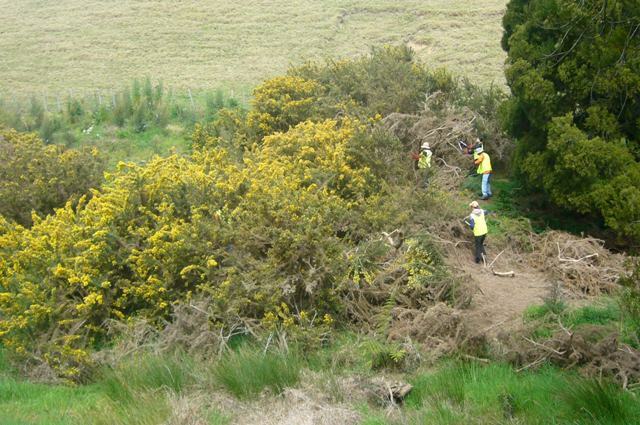 A prime objective of the project is to restore connectivity between the forest remnants thereby enhancing biodiversity and wildlife values while also providing headwater protection of the stream tributary that discharges into the Kaipara Harbour. 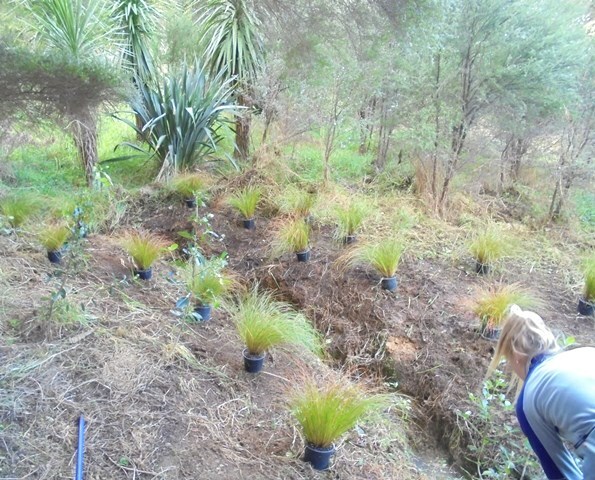 All plants are eco-sourced, which means that they have been grown from seeds from trees within a 10km radius of the property. 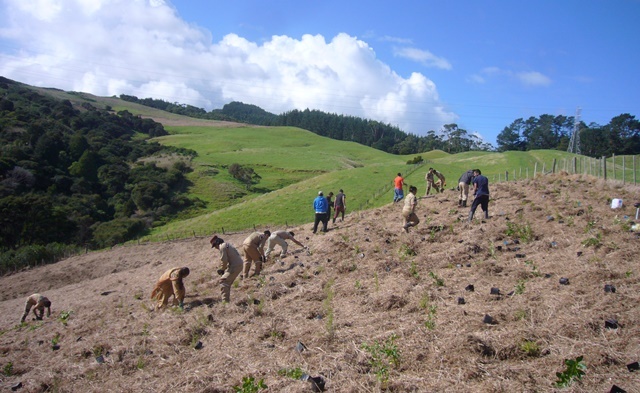 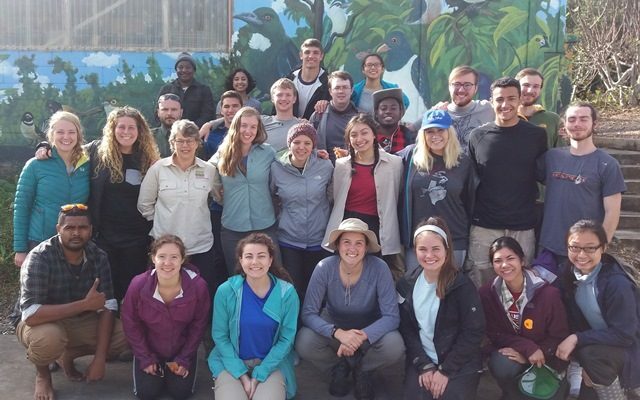 Eco sourcing ensures local biodiversity /genetic variability is maintained, and that the plants are adapted to growing in local soil and climatic conditions and subsequently are better able to withstand the threat of disease. 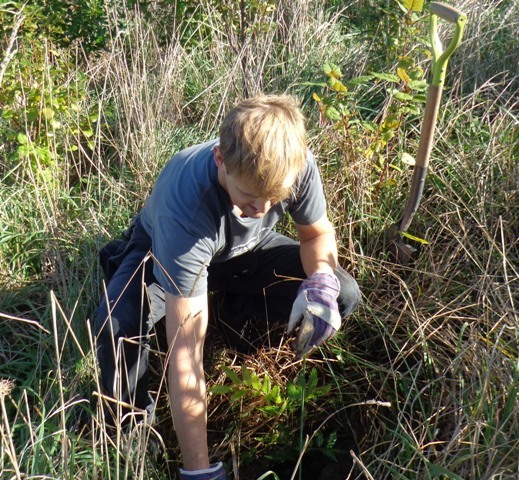 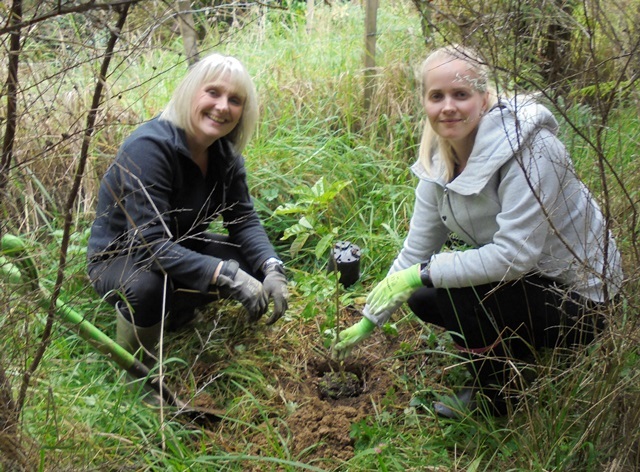 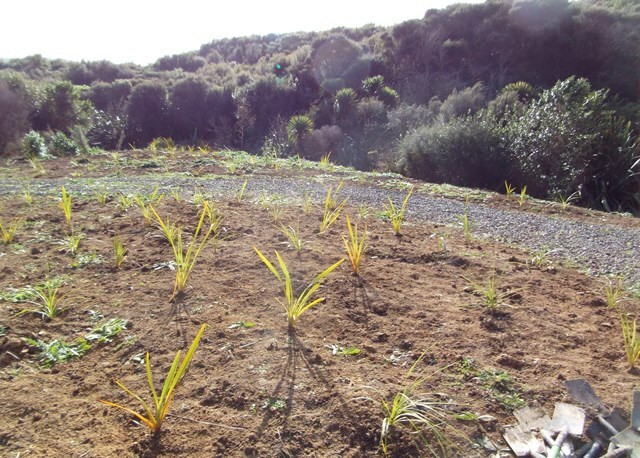 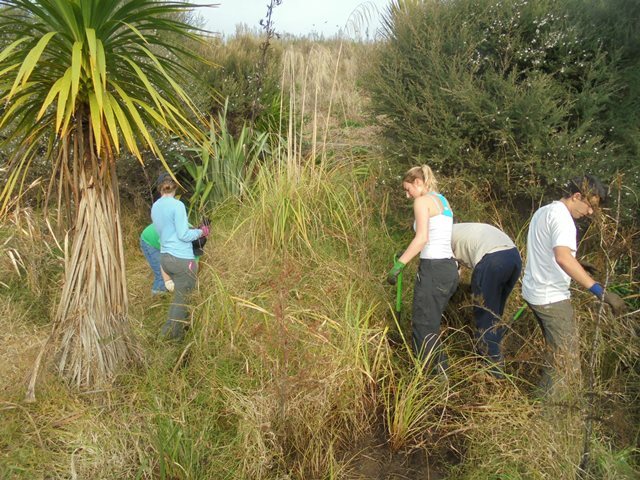 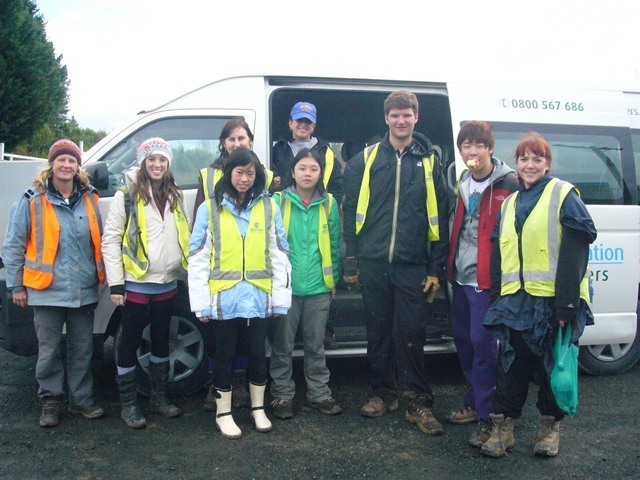 We have contracted with Scrub Growers Ltd., a local nursery, which specialises in native plants to supply us the plants and to also provide us with planting assistance. 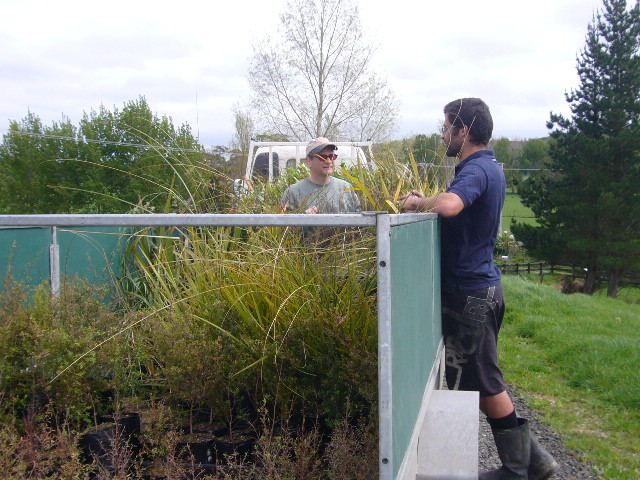 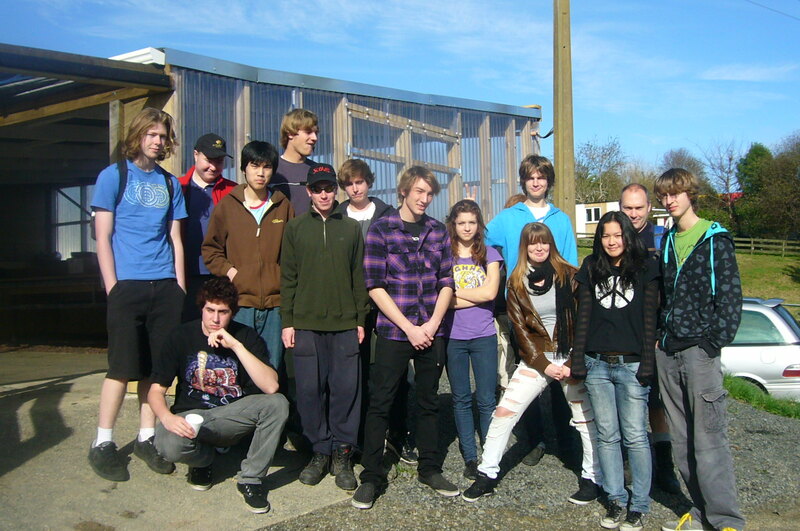 Plants are ordered almost a year prior to planting date to ensure the appropriate seed stock can be obtained. 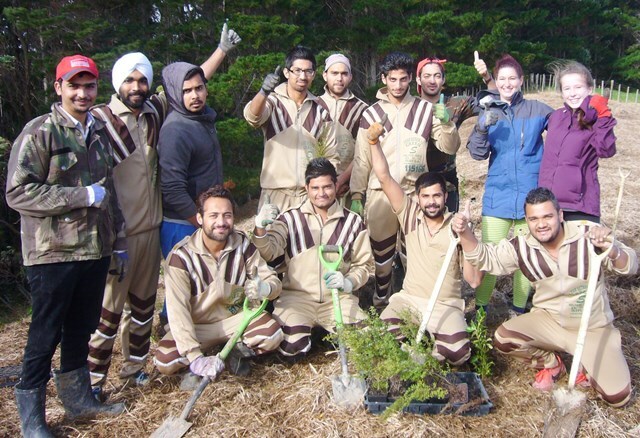 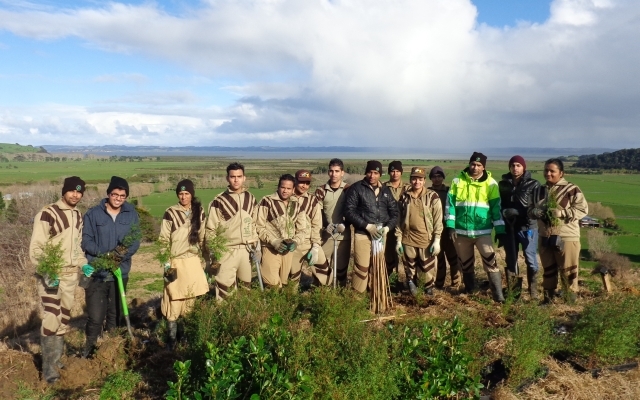 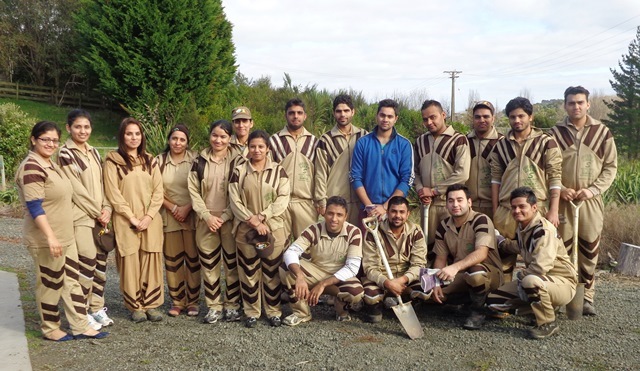 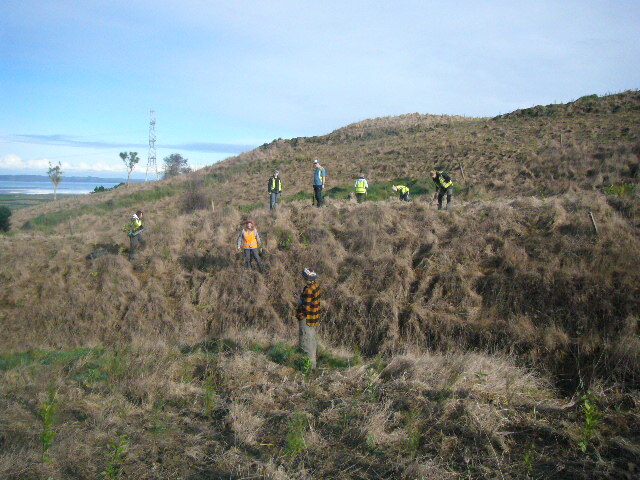 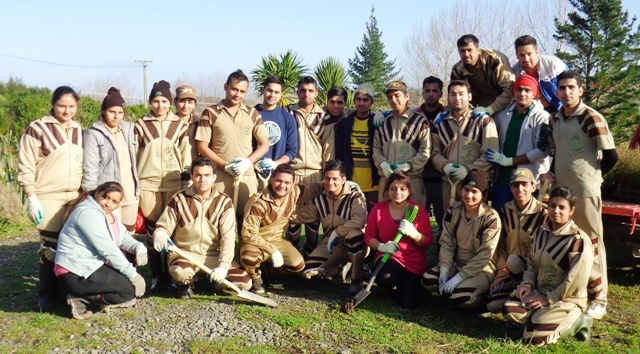 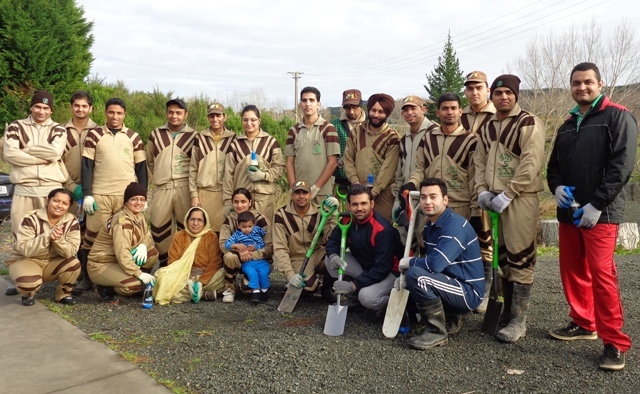 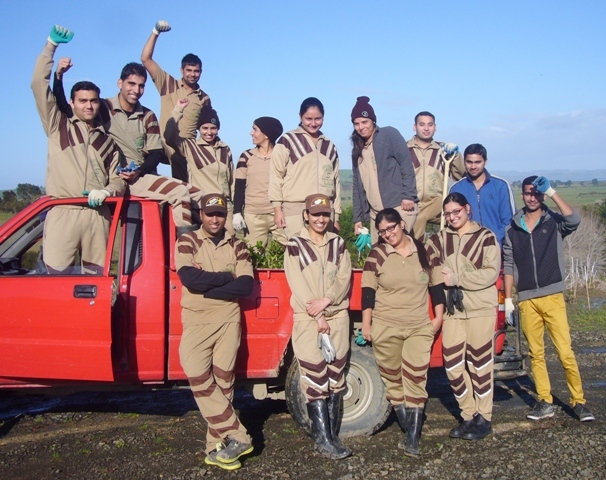 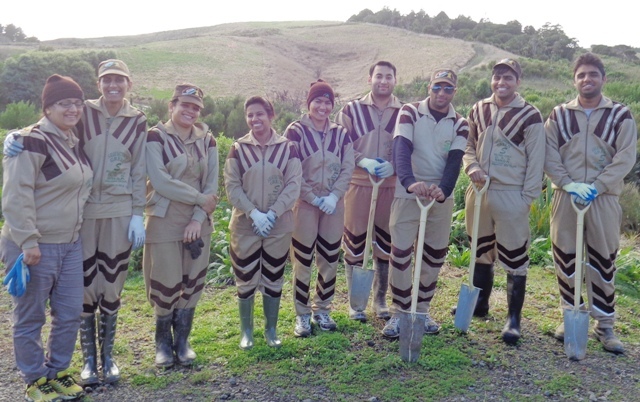 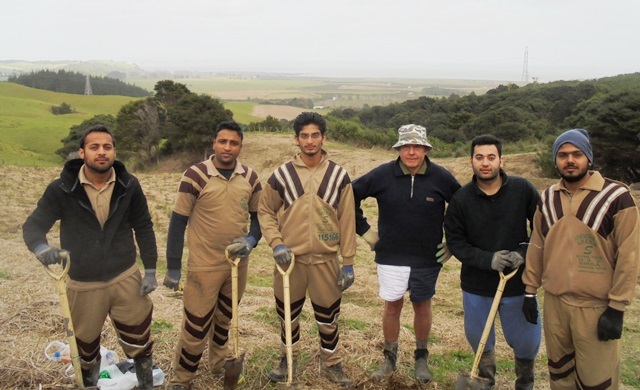 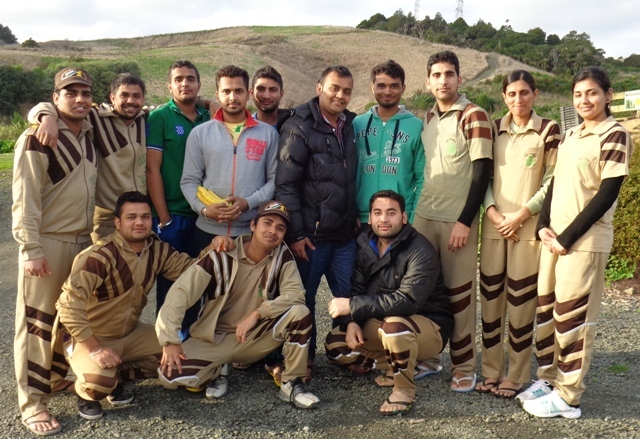 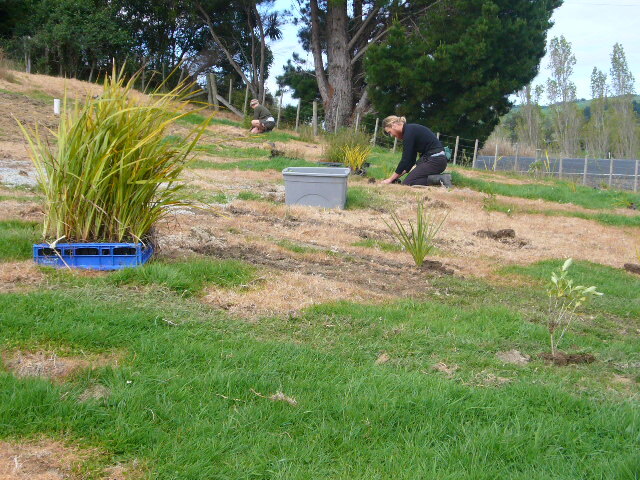 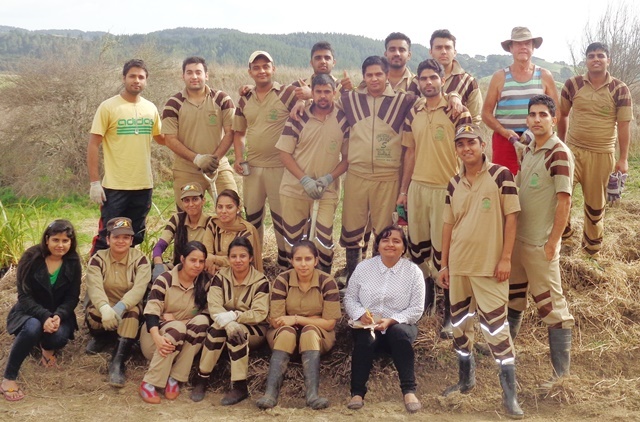 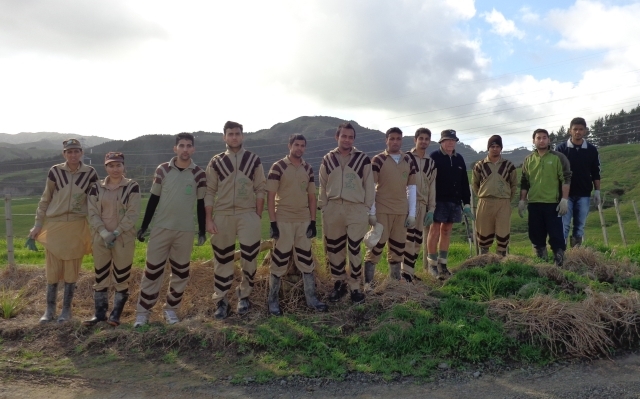 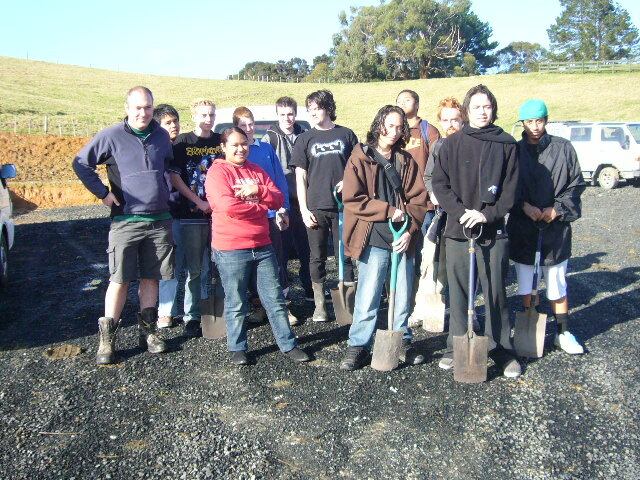 Tree Planting by staff of Scrub Growers Ltd.